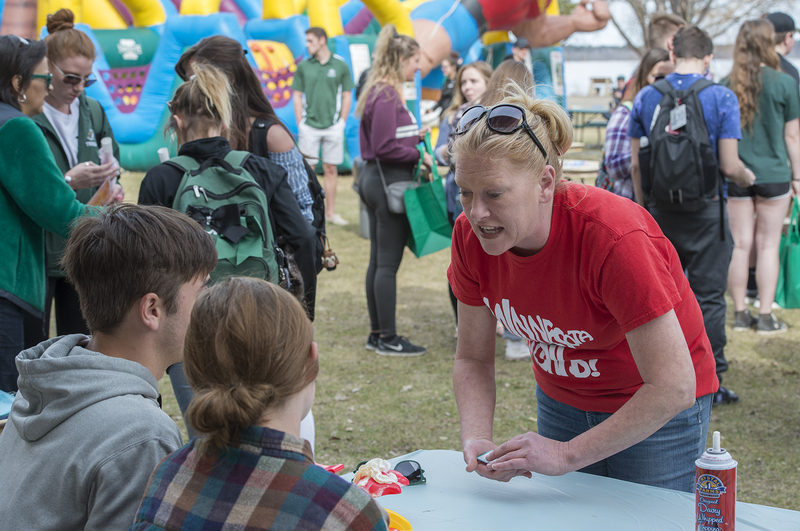 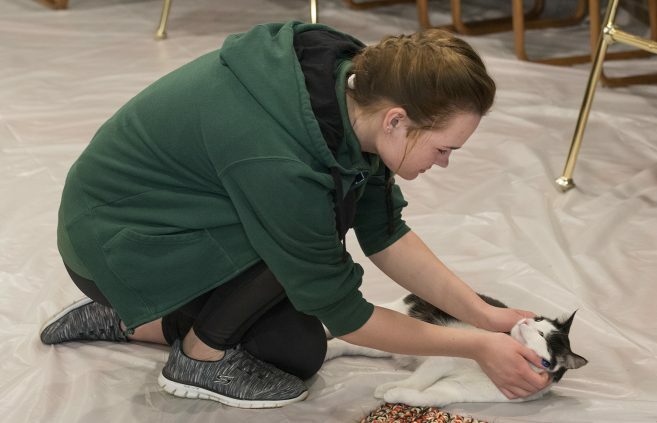 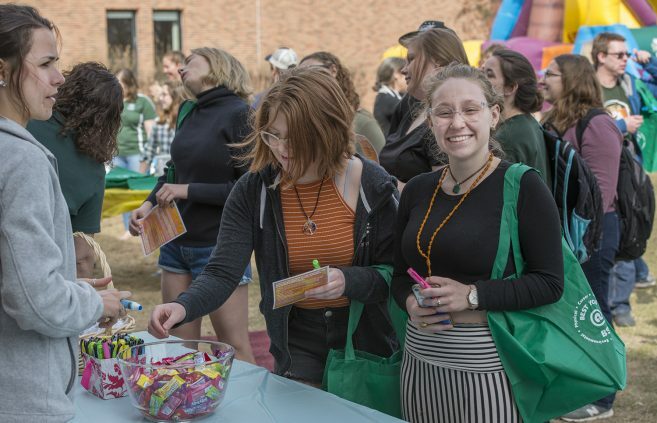 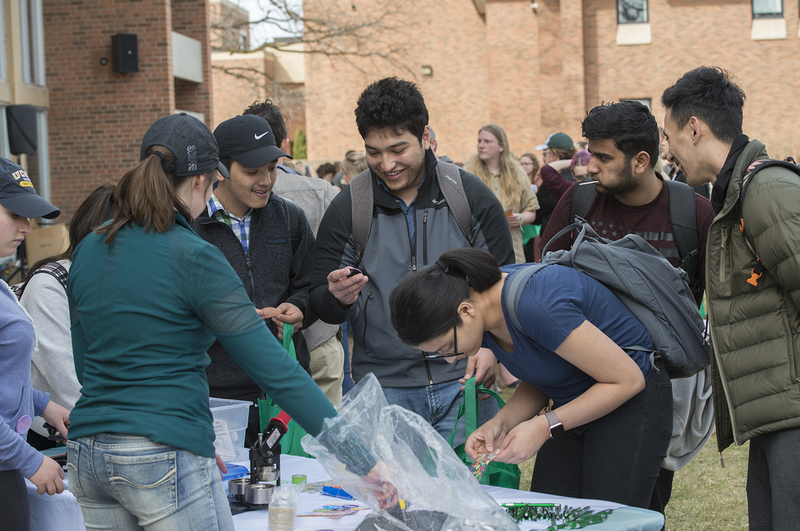 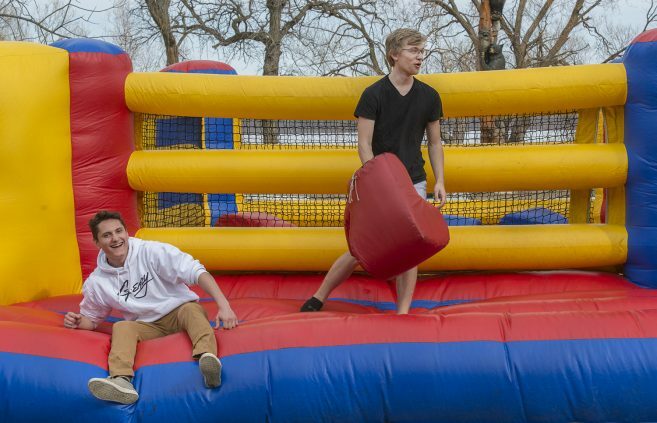 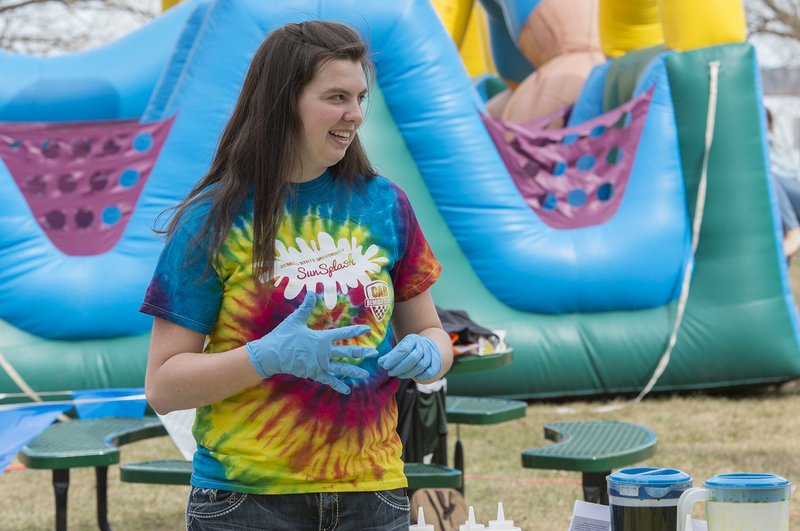 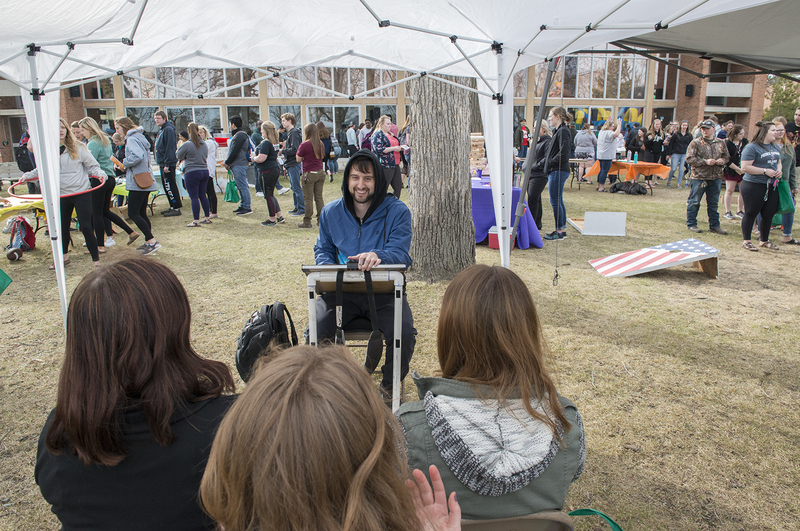 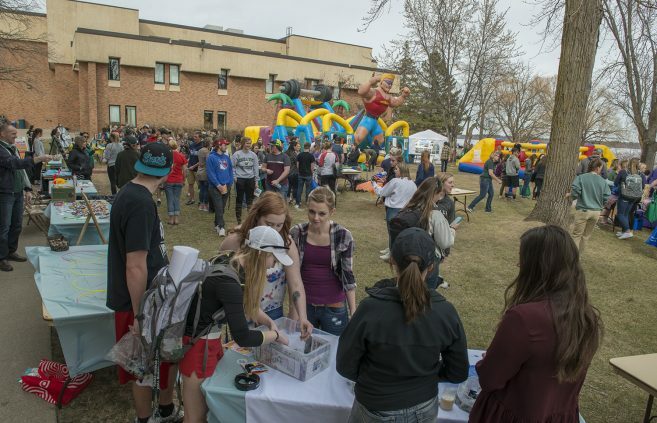 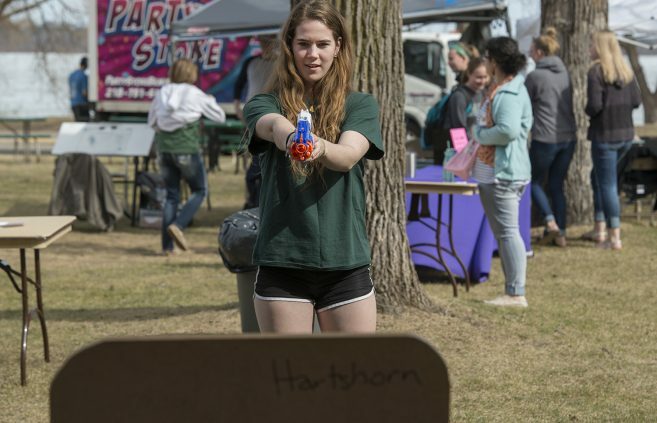 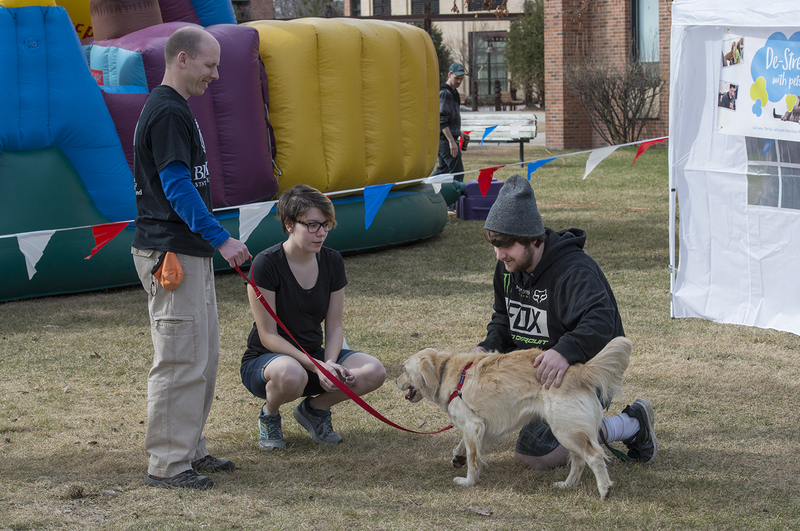 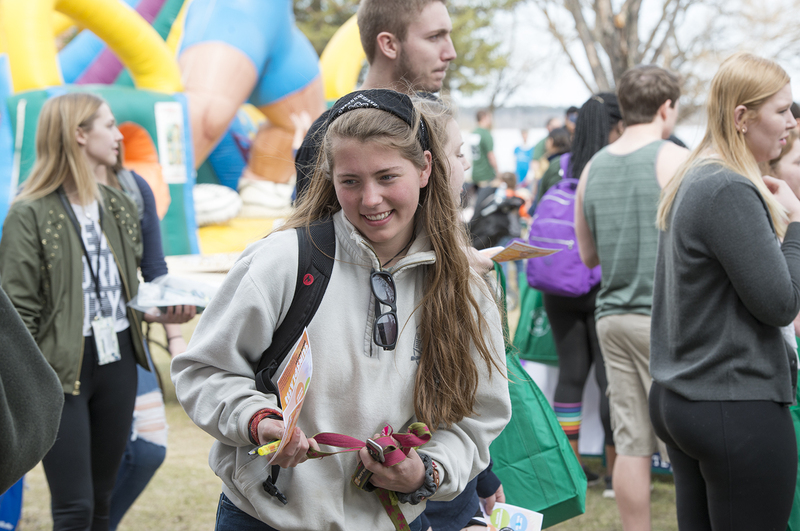 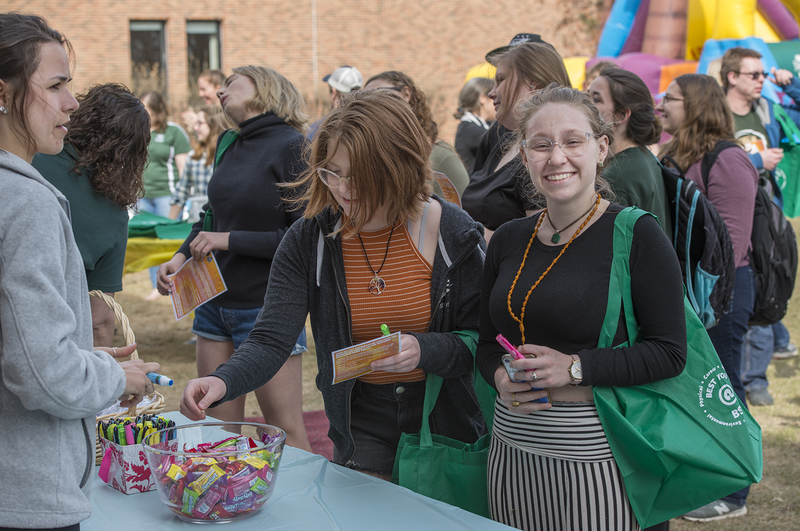 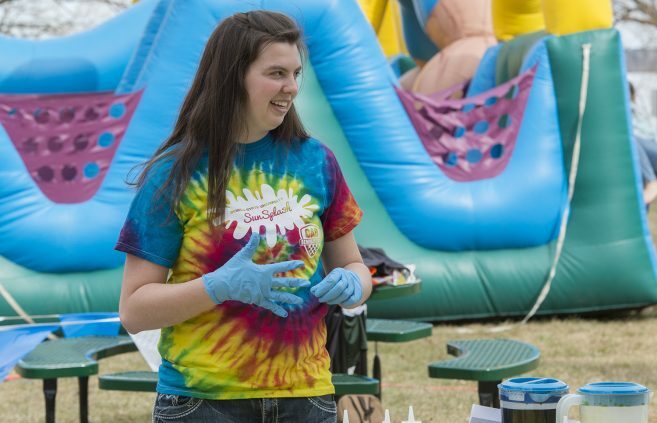 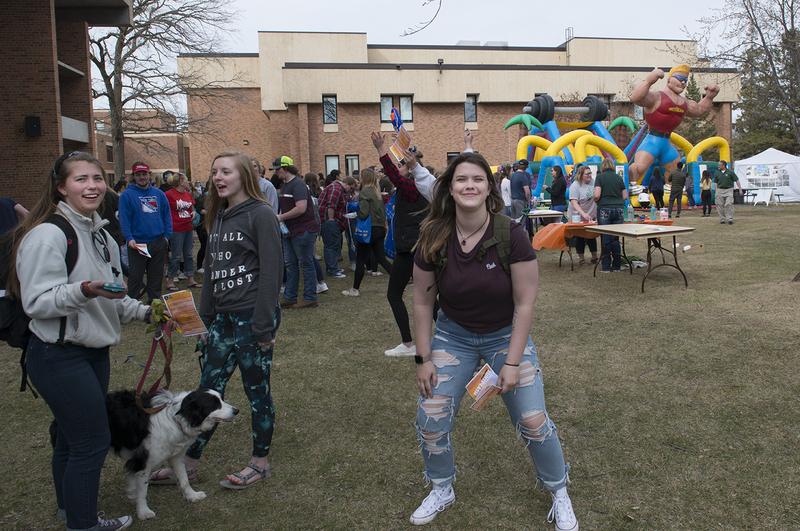 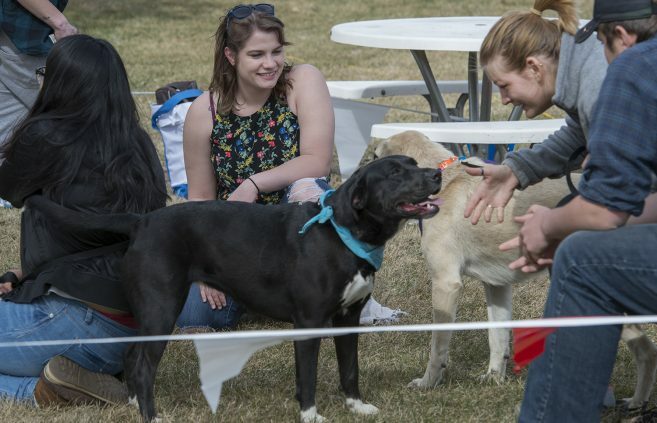 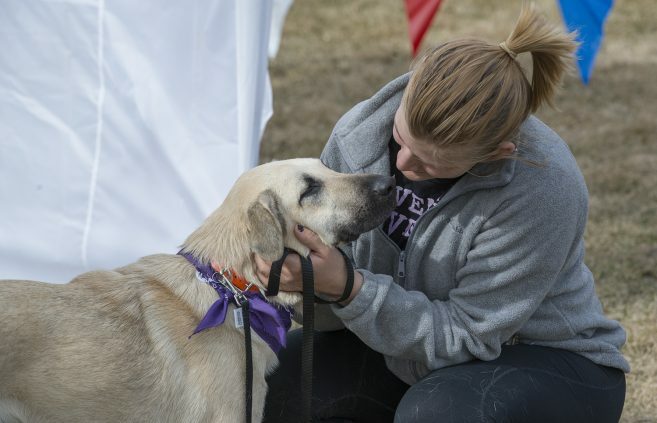 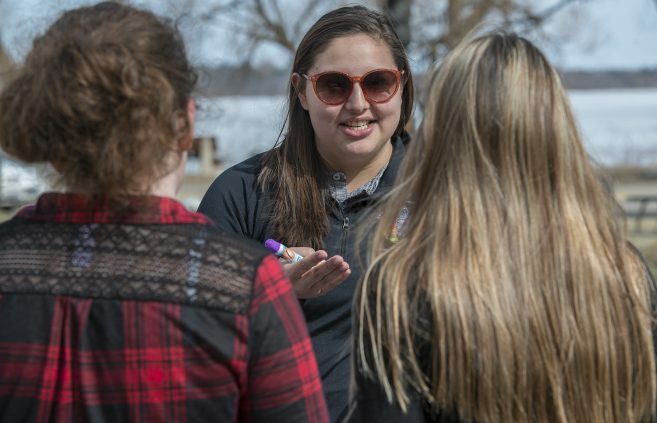 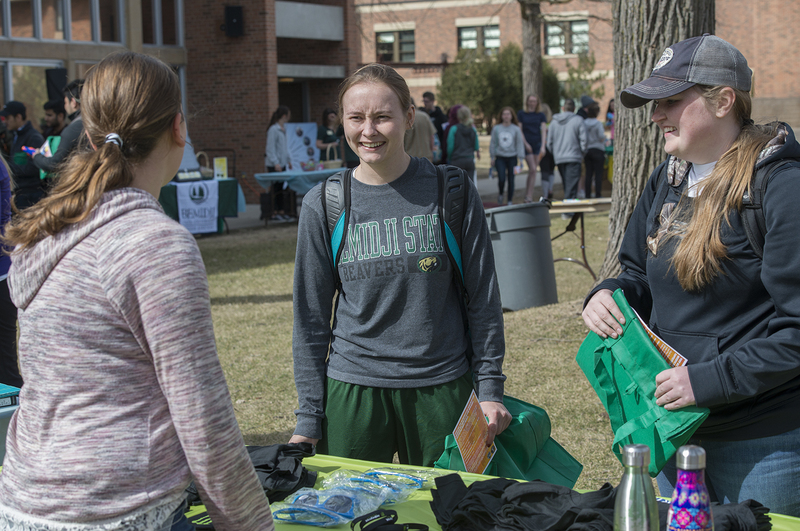 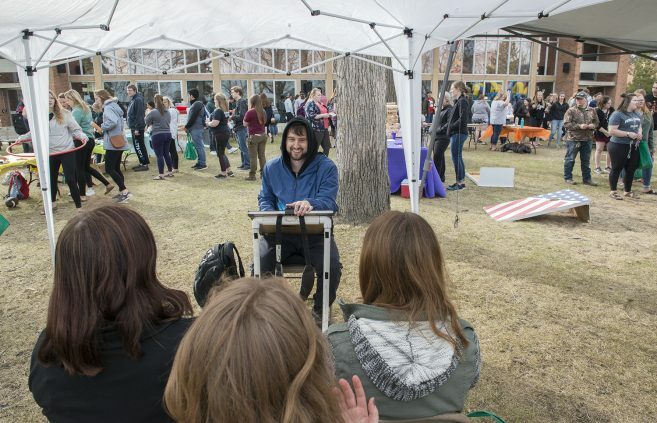 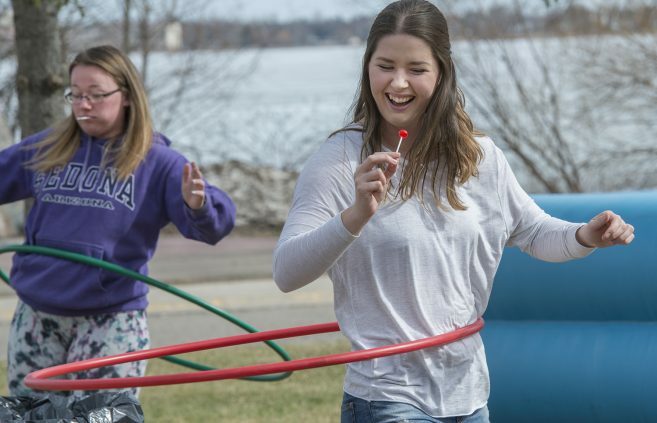 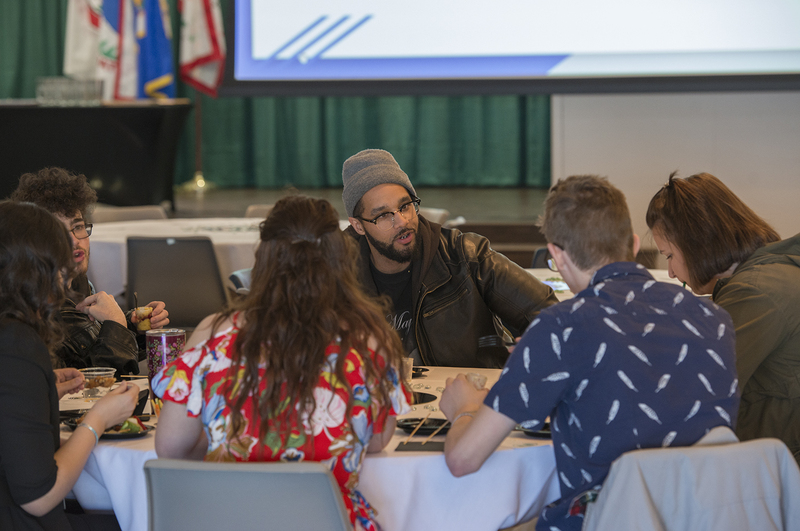 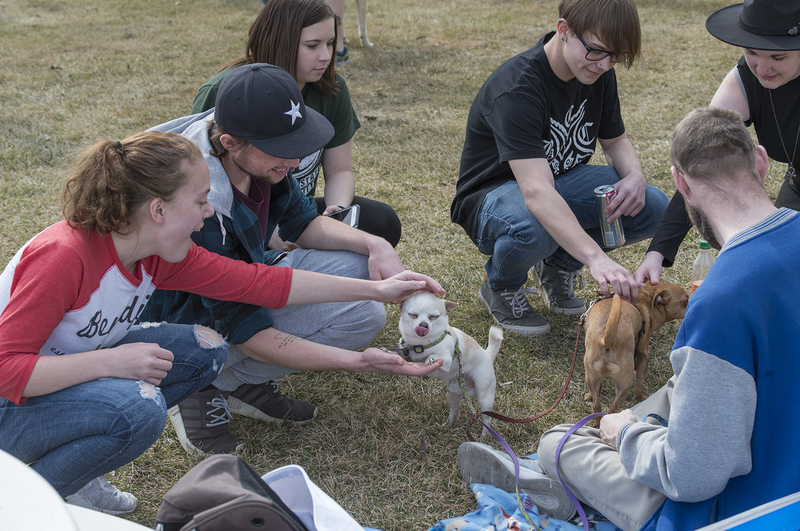 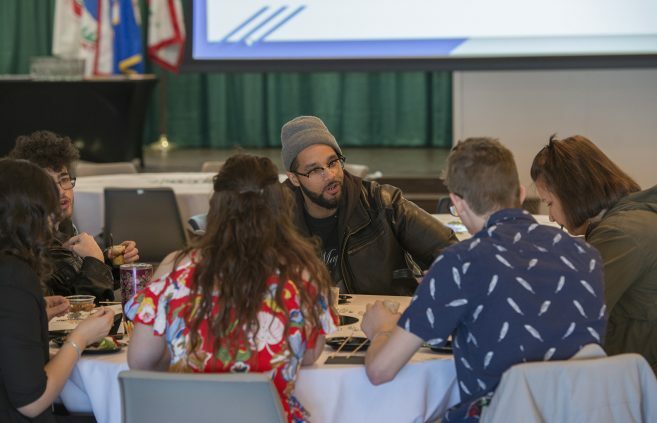 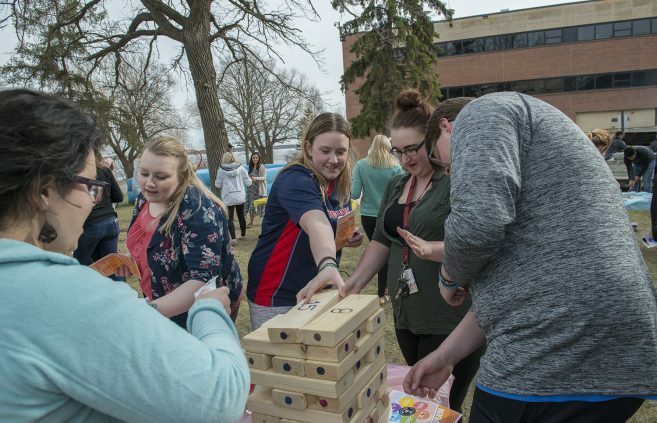 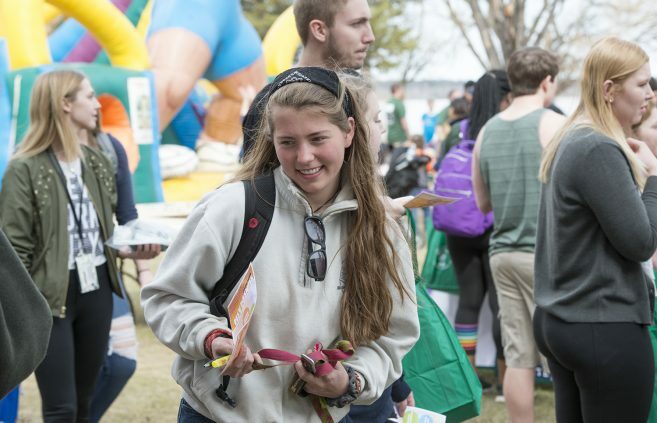 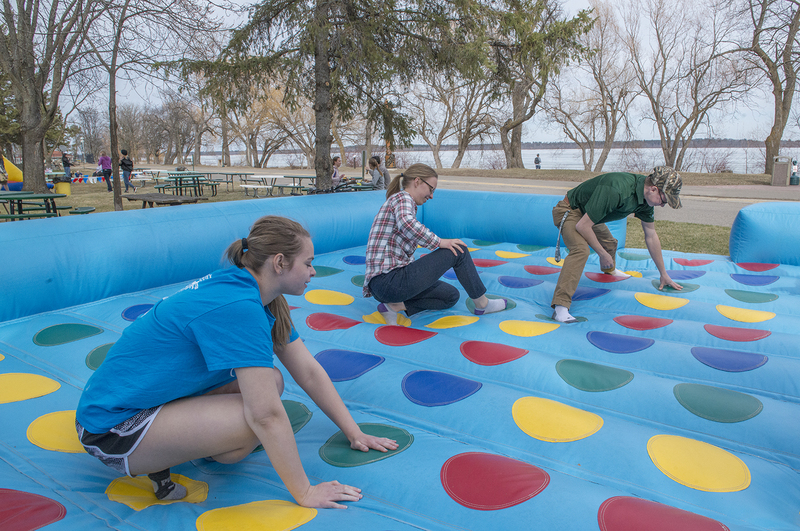 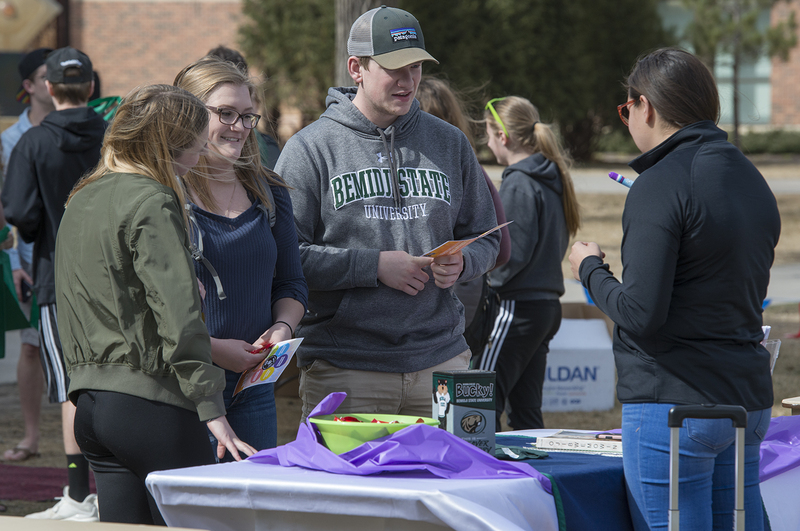 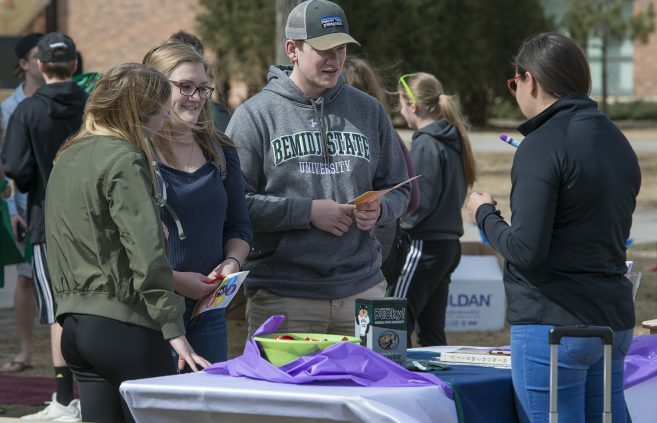 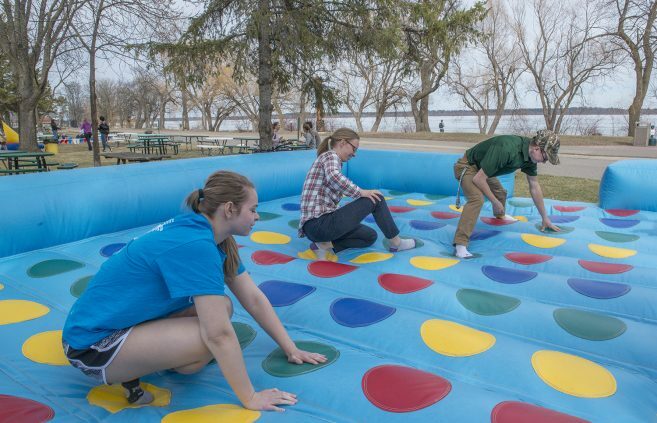 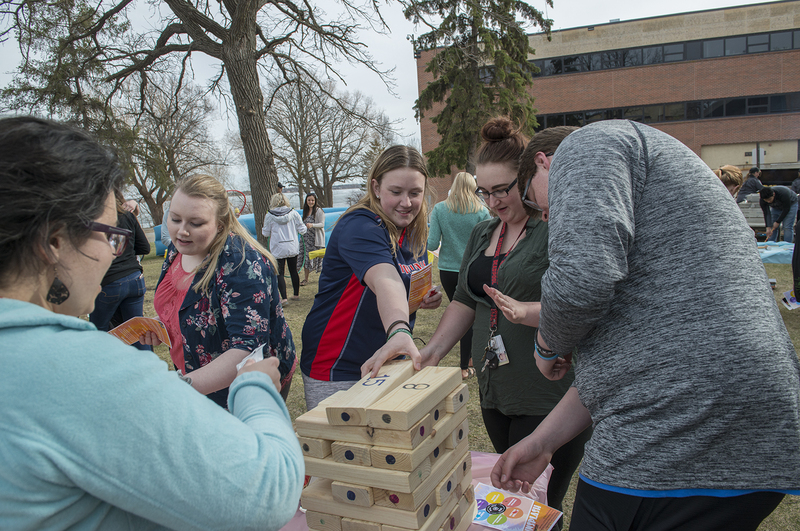 April 25 was the annual Sunsplash event which was held outside on the Lakeside Lawn with inflatables, puppies, caricature drawings, tie-dying, games, prizes and a barbeque dinner for students to have fun before finals week. Five members of Bemidji State University’s student chapter of the American Marketing Association recently attended the organization’s national conference in New Orleans. Bemidji State University’s Department of Music held a Blue Ice performance on April 18 in the main theater of Bangsberg Fine Arts Complex. 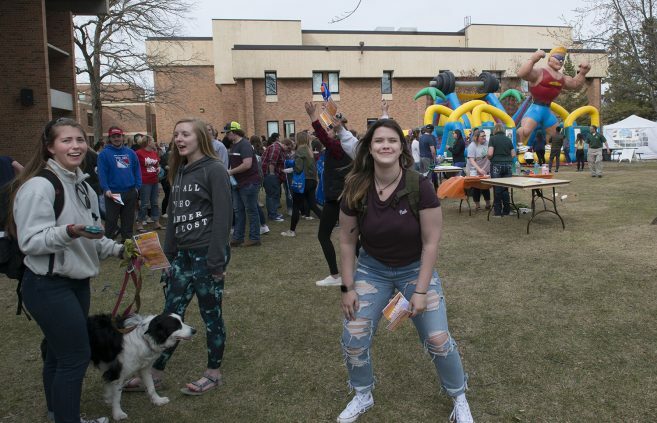 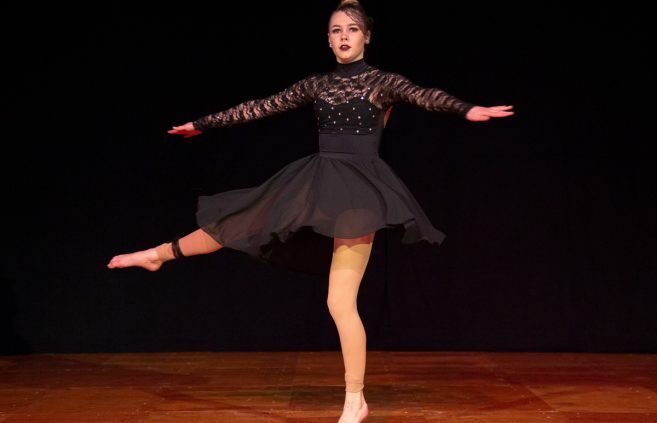 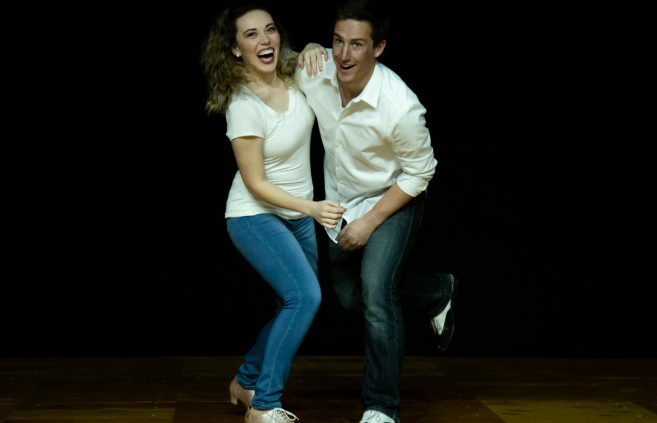 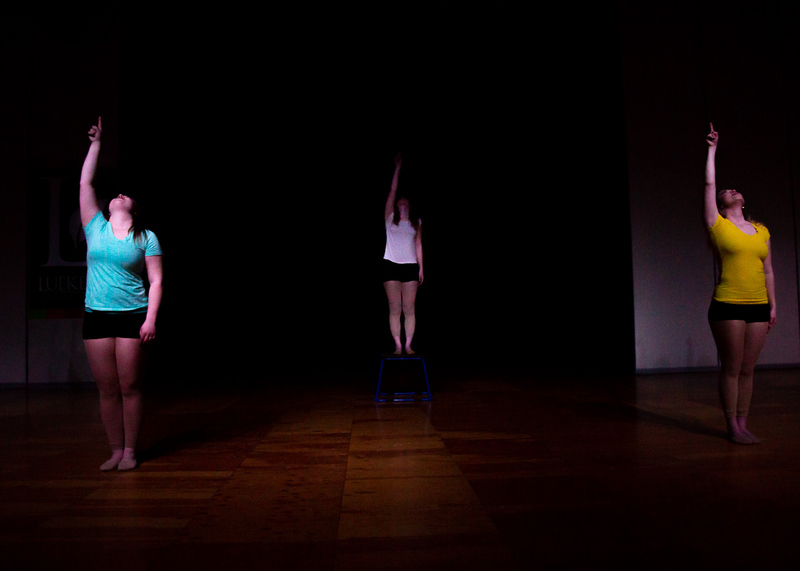 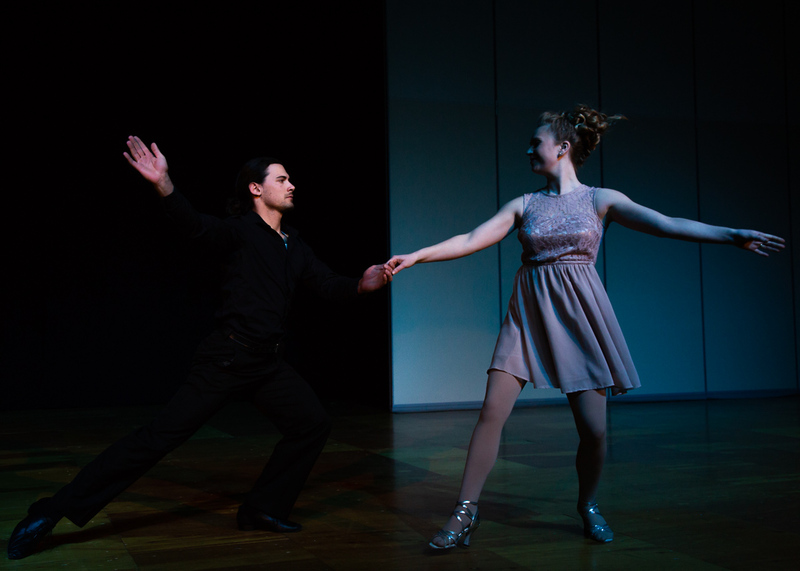 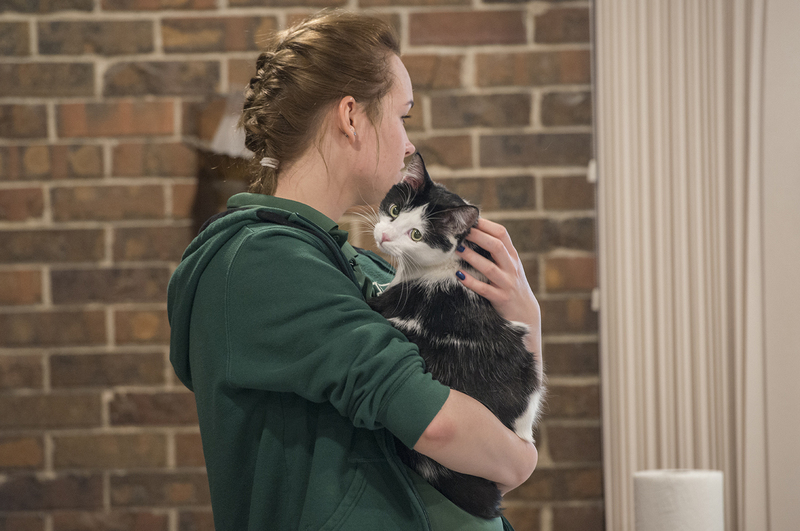 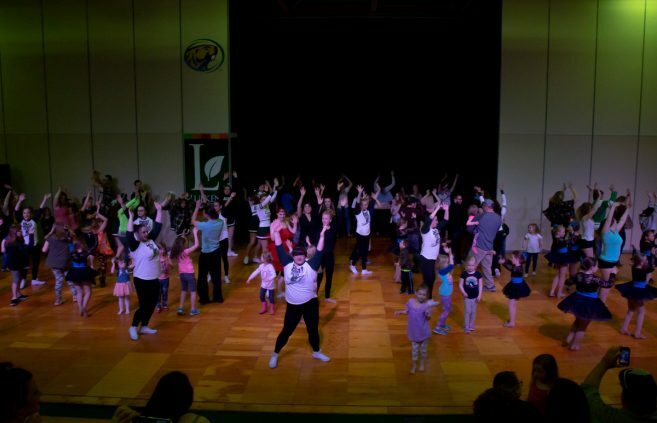 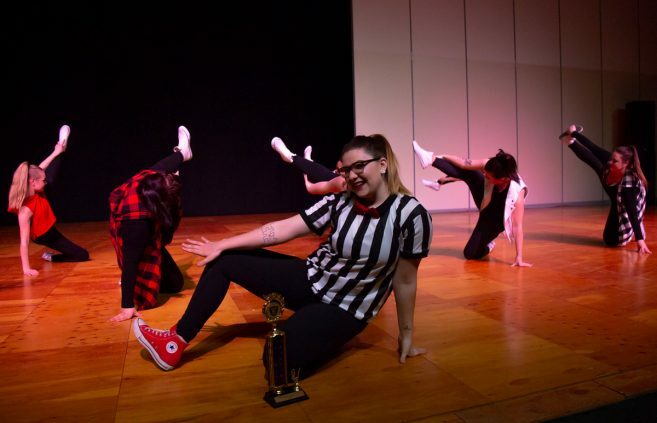 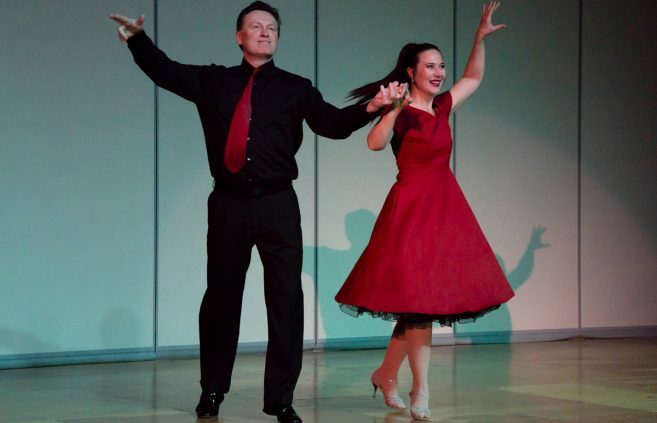 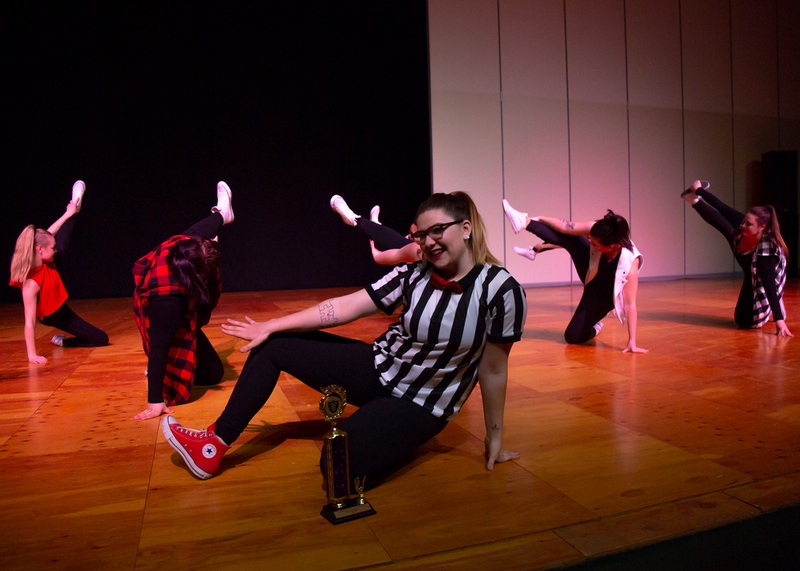 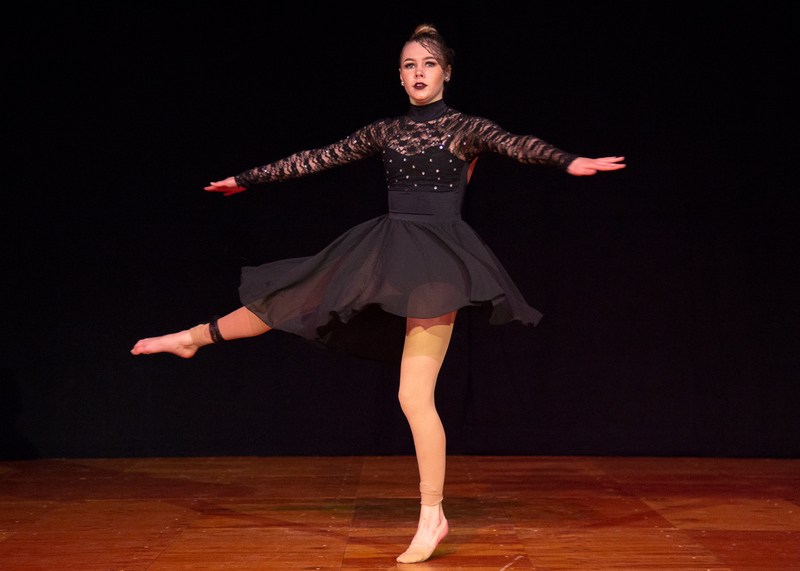 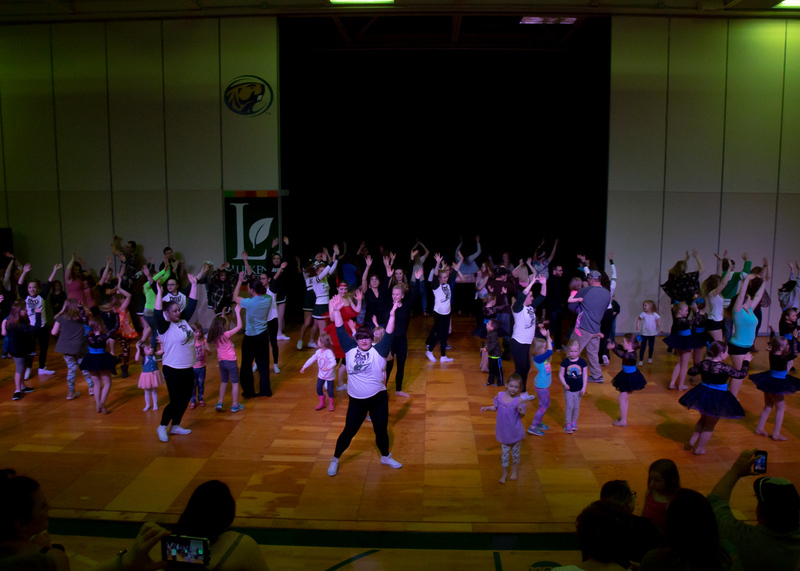 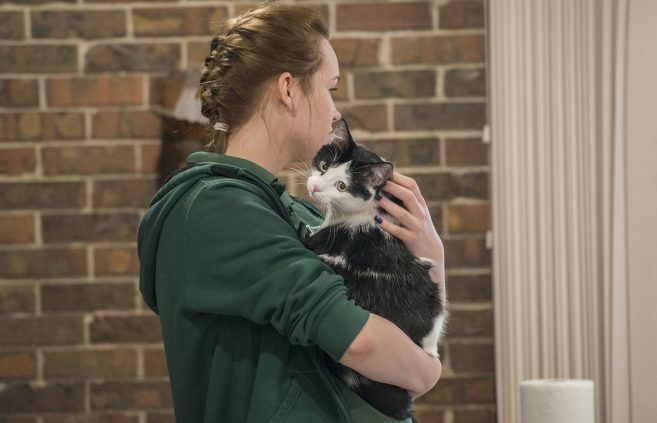 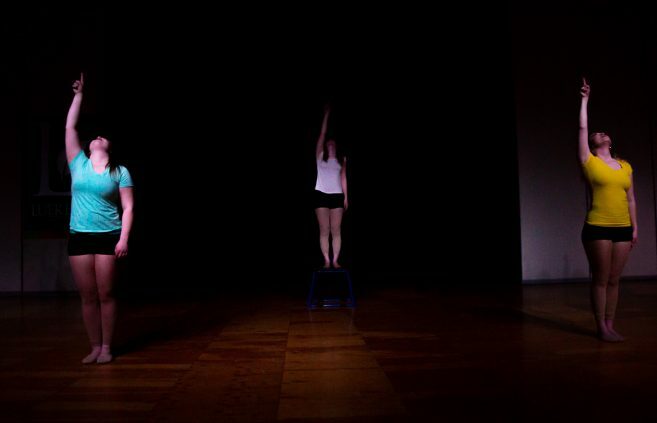 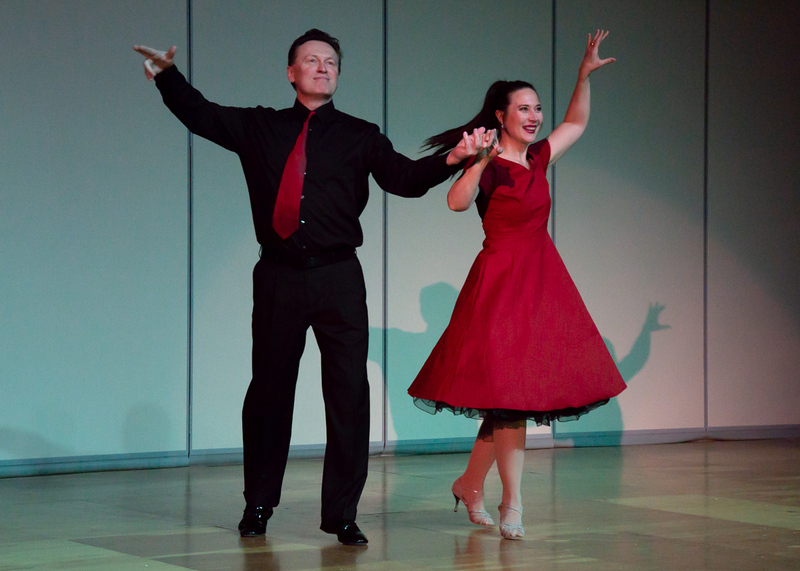 Bemidji State University Hosted its 72 annual funtastic dance follies this past weekend April 19, 20, and 21. 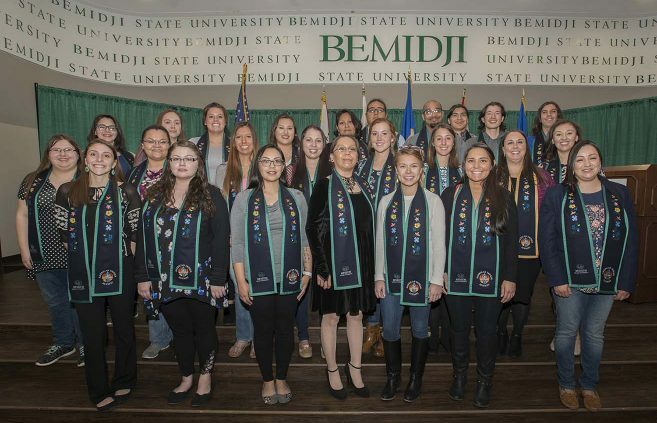 Twenty-five of BSU’s record 51 American Indian graduates-to-be were on-hand at the awards banquet. 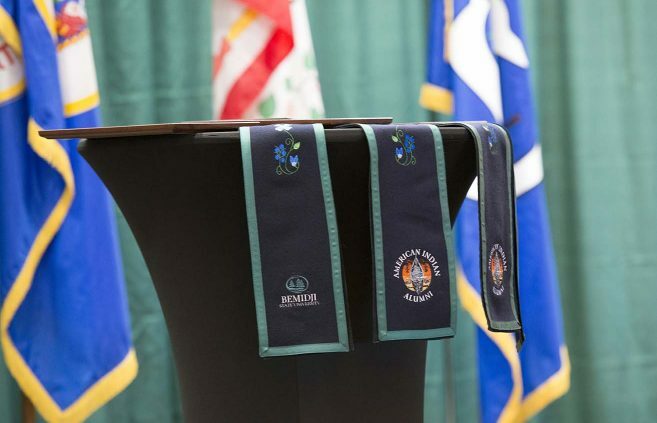 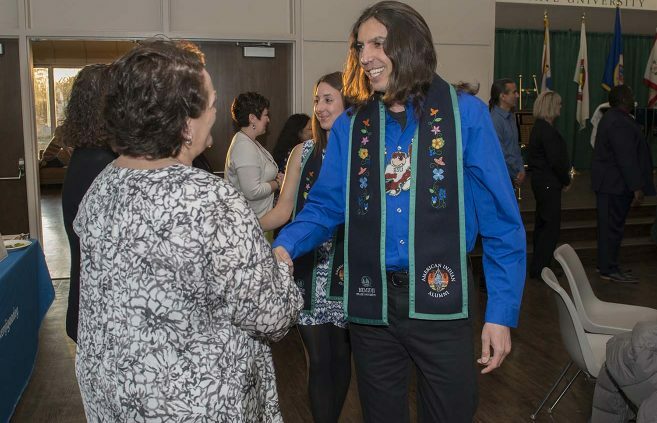 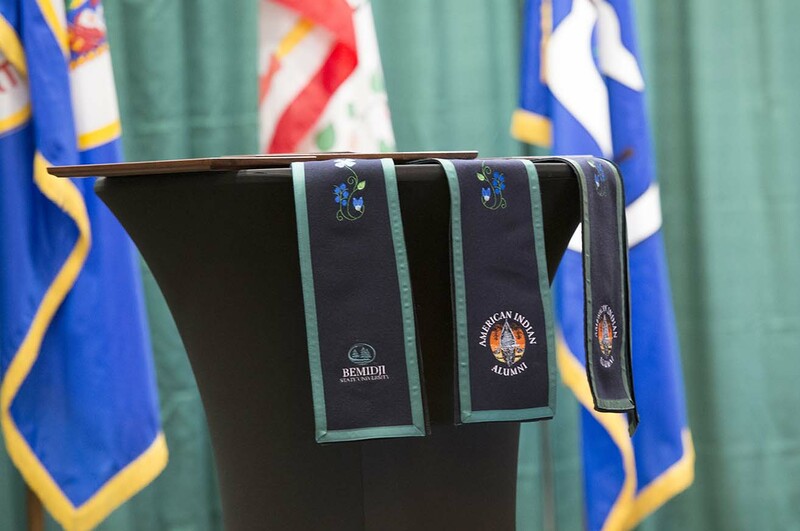 Stoles received by American Indian graduates to be worn at Commencement on May 4. 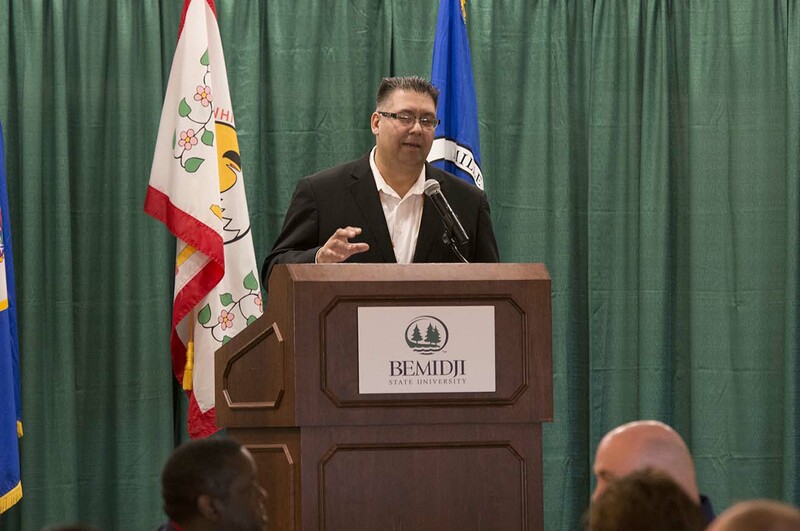 Bill Blackwell Jr., executive director of the American Indian Resource Center. 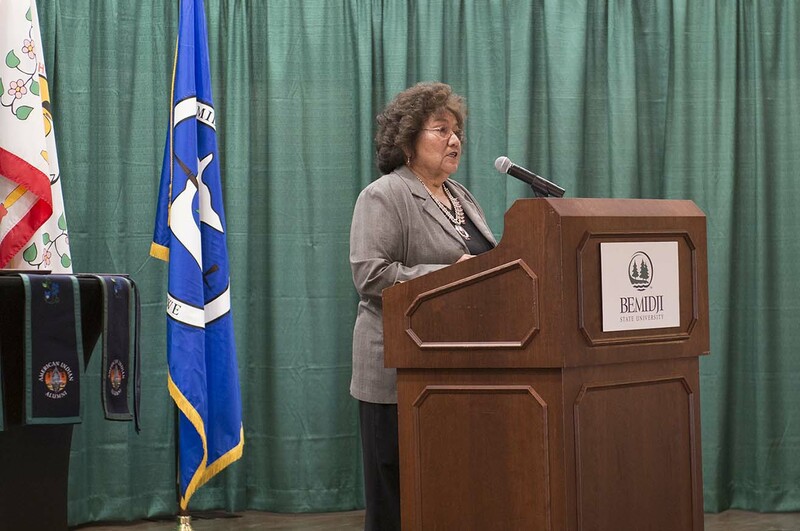 Ursula Knoki-Wilson, community relations liaison officer, Office of the CEO, with Indian Health Service in Chinle, Ariz., provided the keynote address. 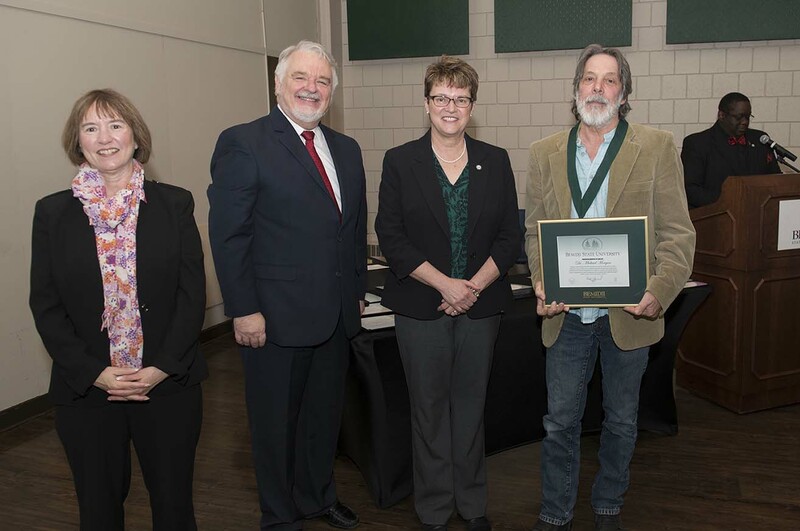 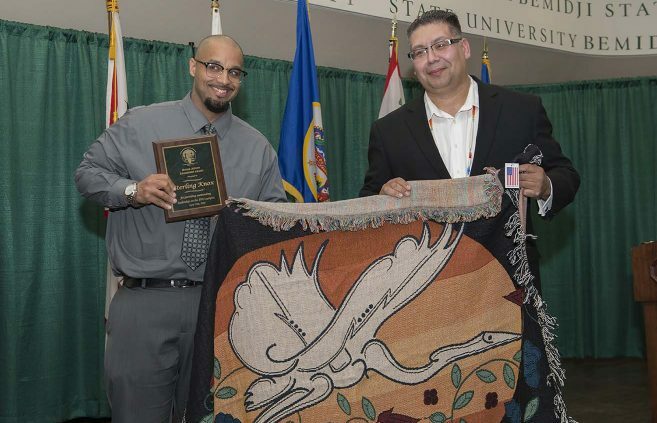 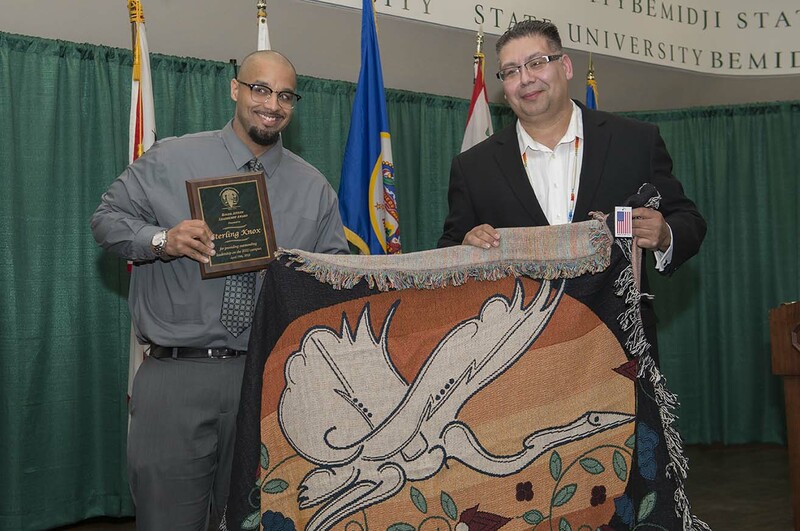 John Daniel (left), with Bill Blackwell Jr., won the inaugural Earl Nyholm Culture and Language Award. 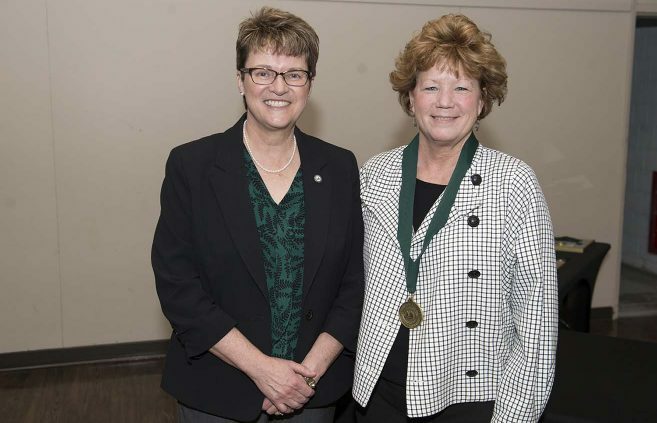 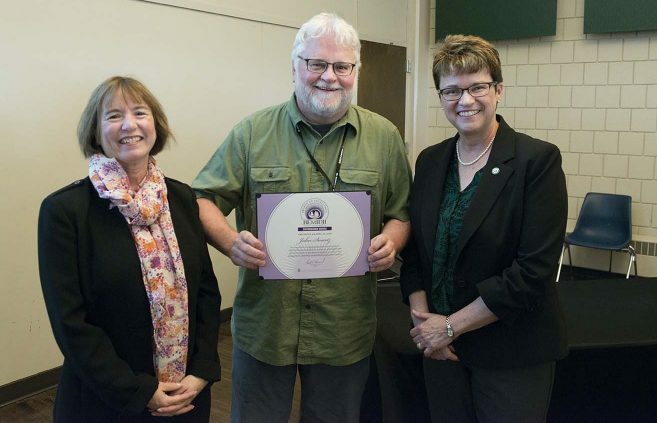 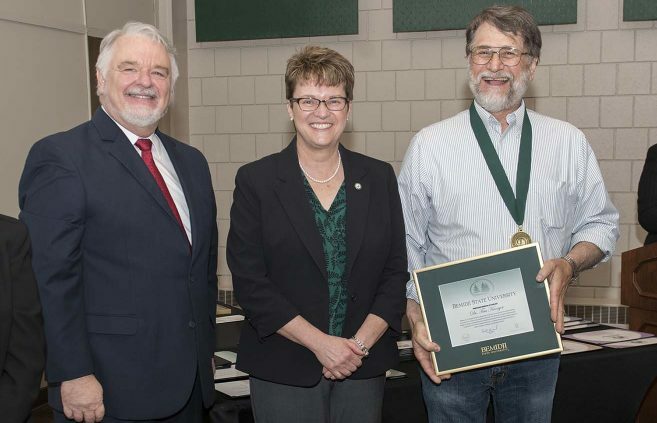 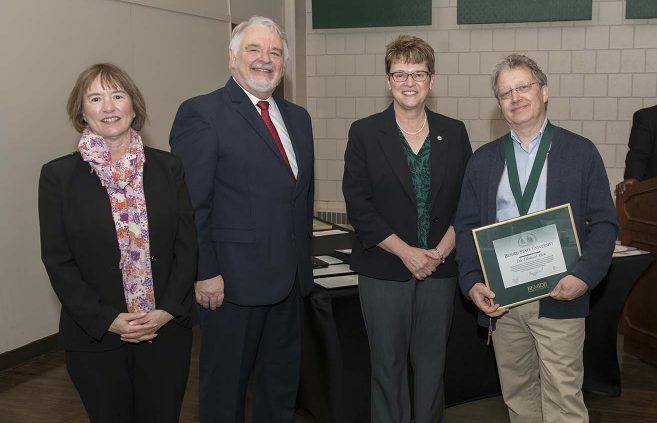 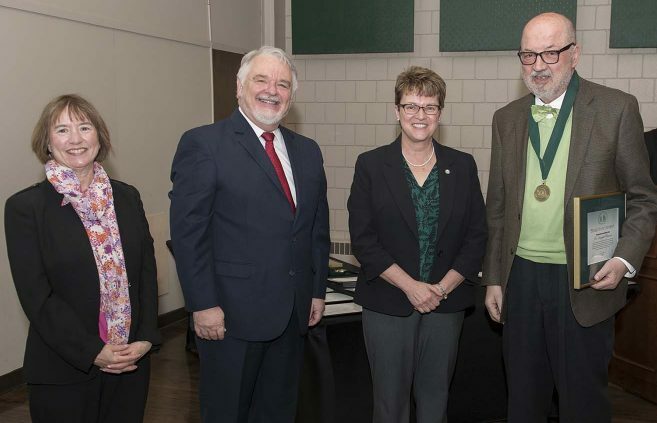 Sage Miletich, with Bill Blackwell Jr., won this year’s AIRC Community Leadership Award. 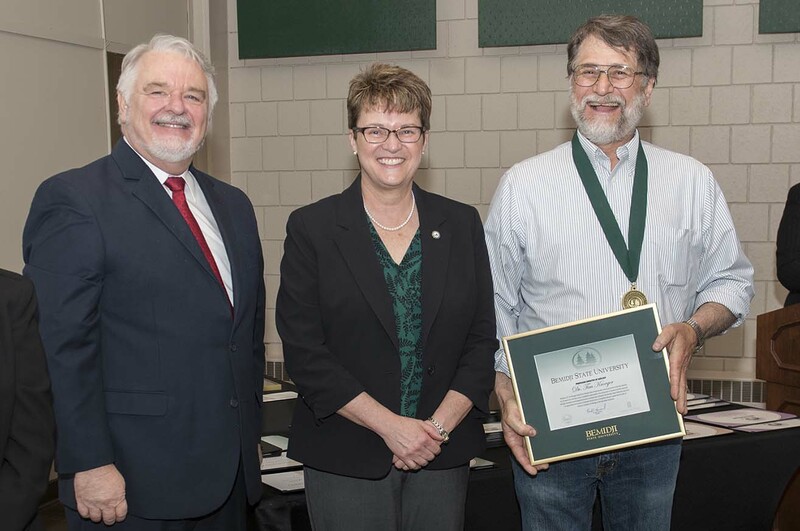 Sterling Knox, with Bill Blackwell Jr., won this year’s Roger Aitken Leadership Award. 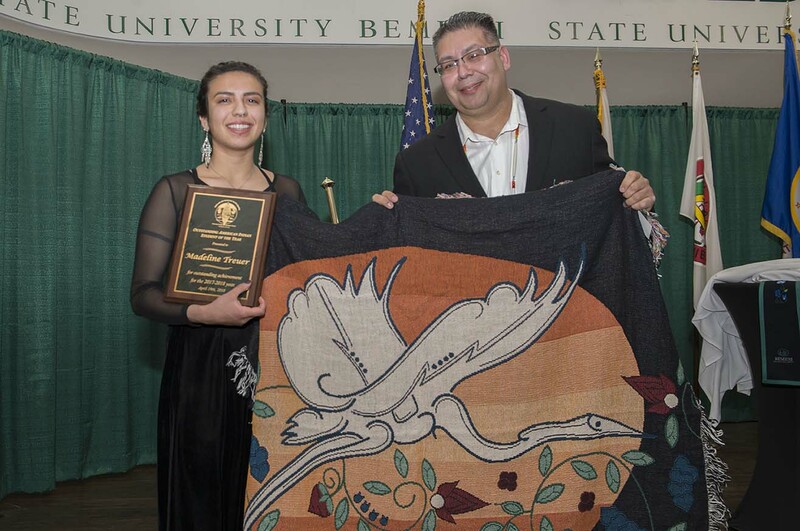 Madeline Treuer, with Bill Blackwell Jr., won her second consecutive Outstanding American Indian Student of the Year award. 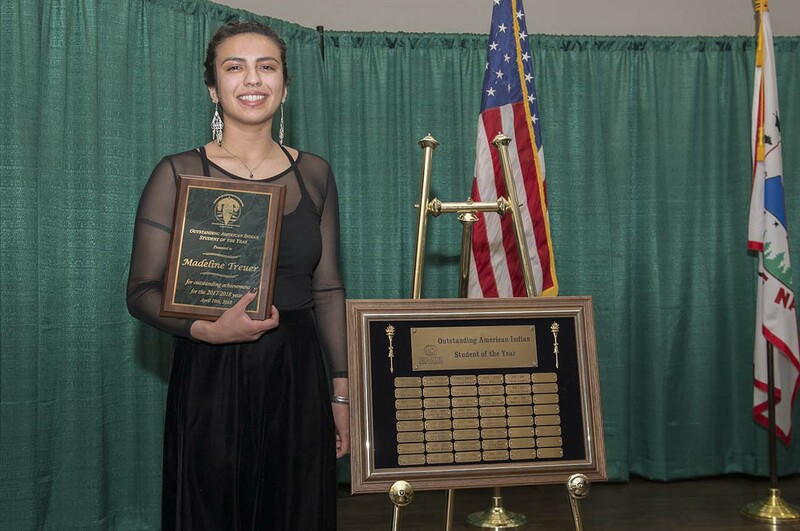 Madeline Treuer will be added to a plaque listing previous Outstanding American Indian Student of the Year recipients. 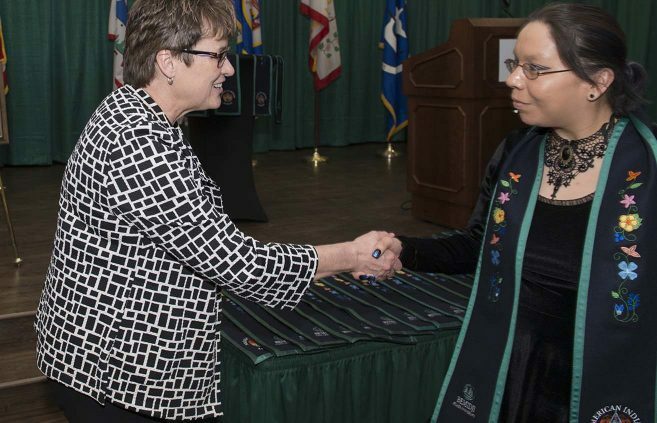 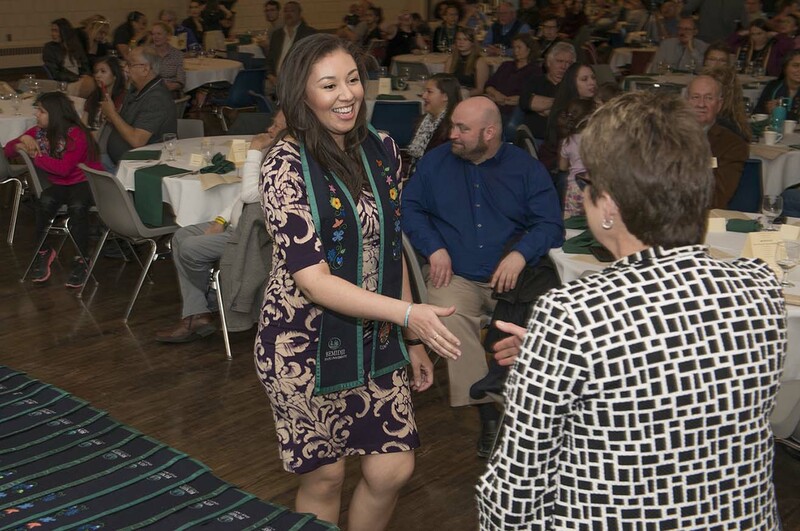 BSU President Faith C. Hensrud greeted graduating students after they received their stoles. 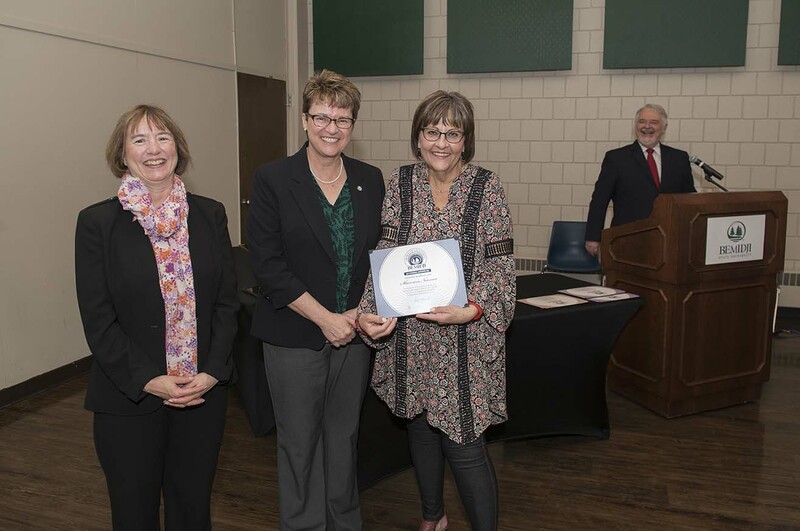 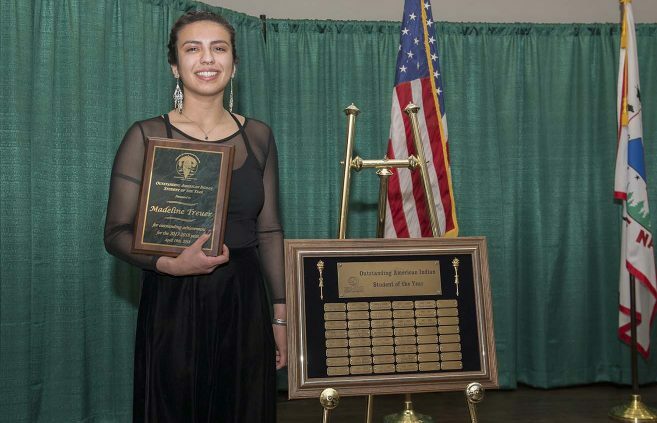 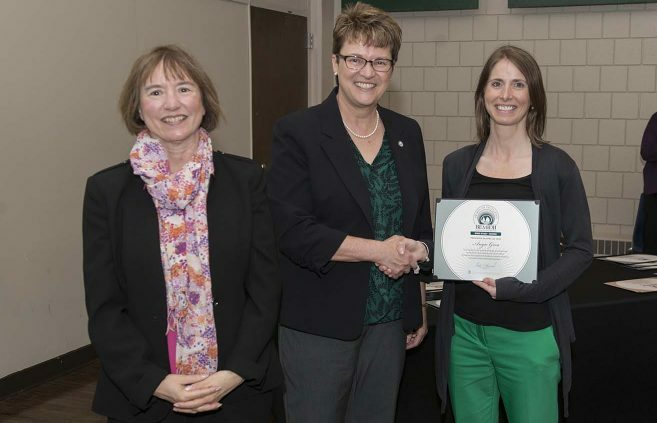 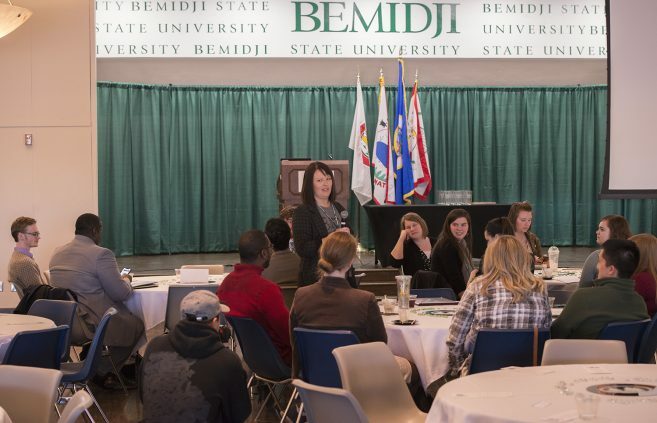 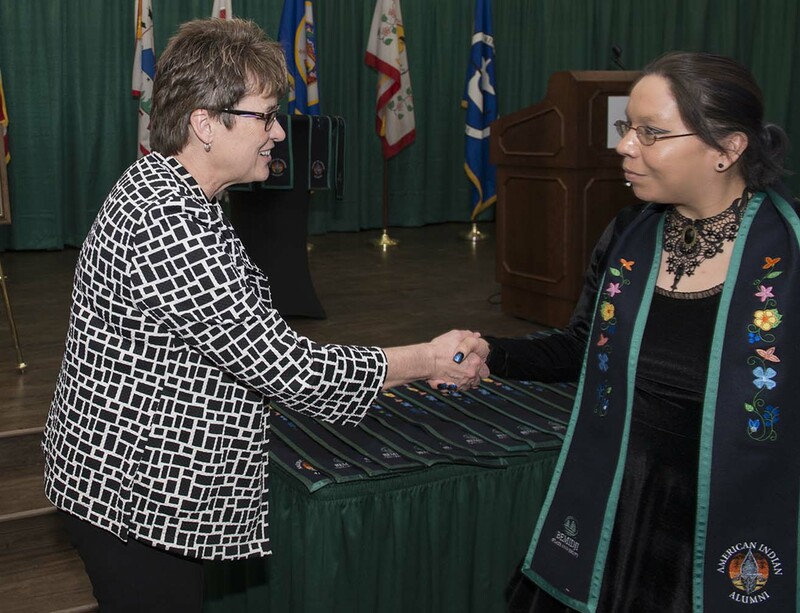 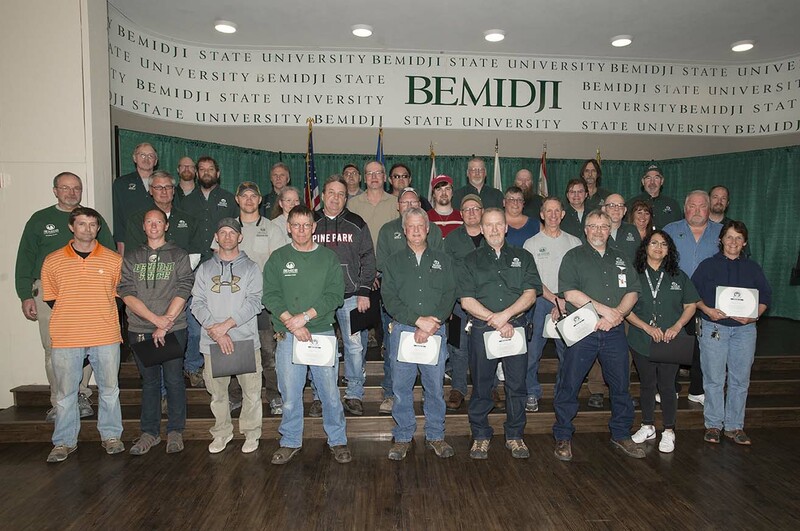 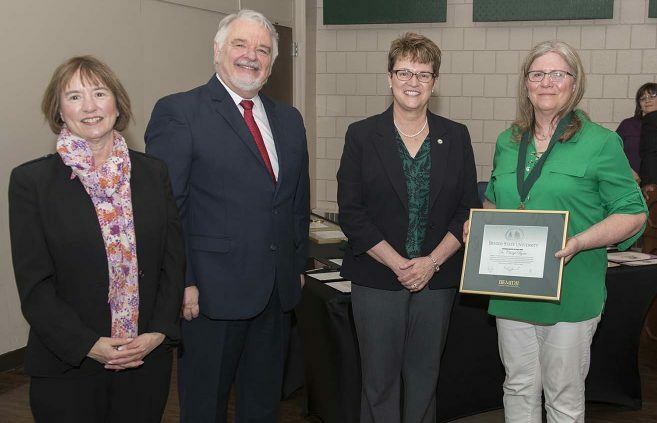 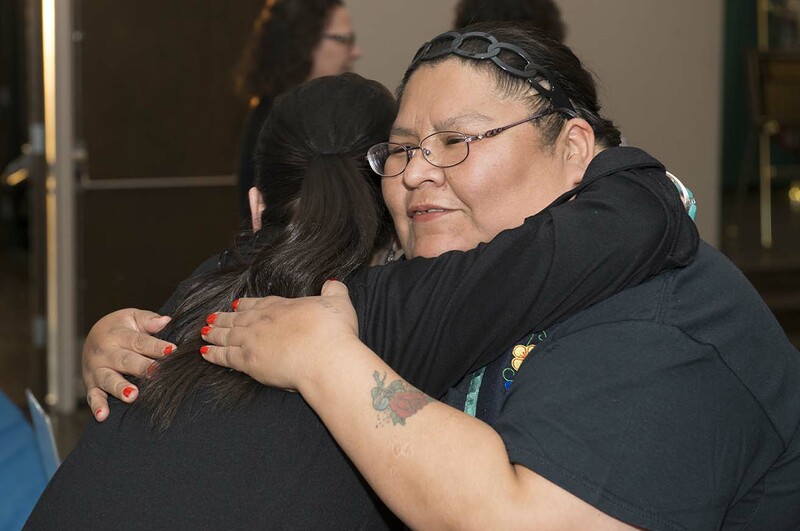 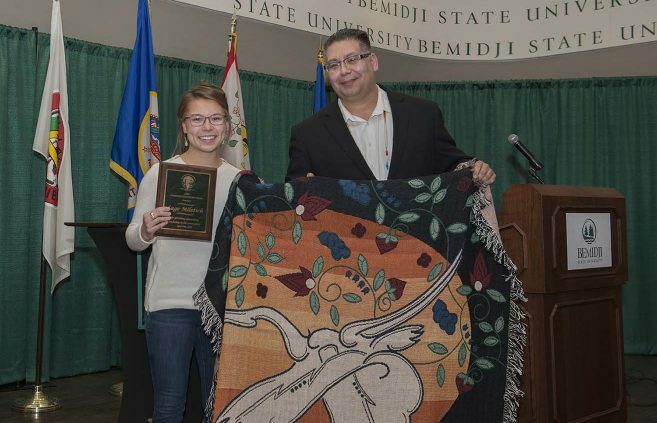 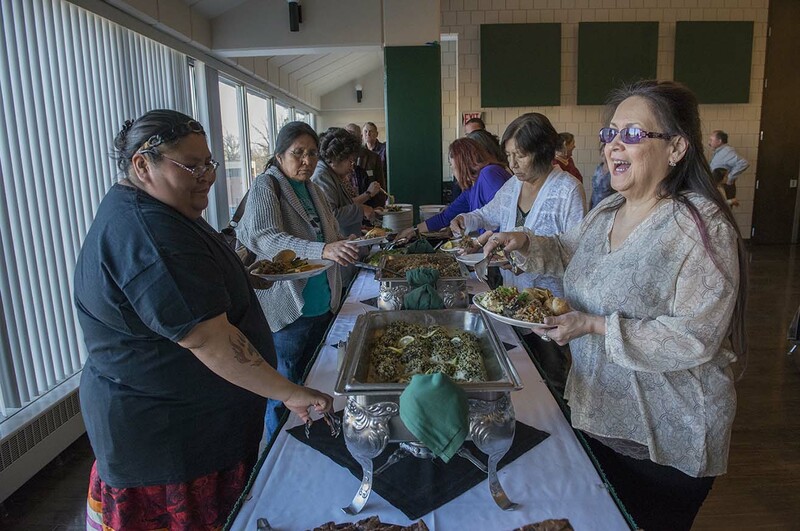 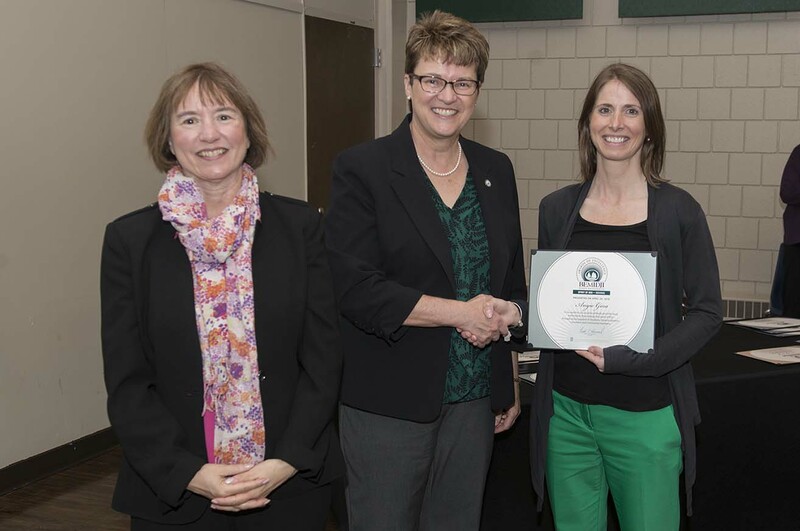 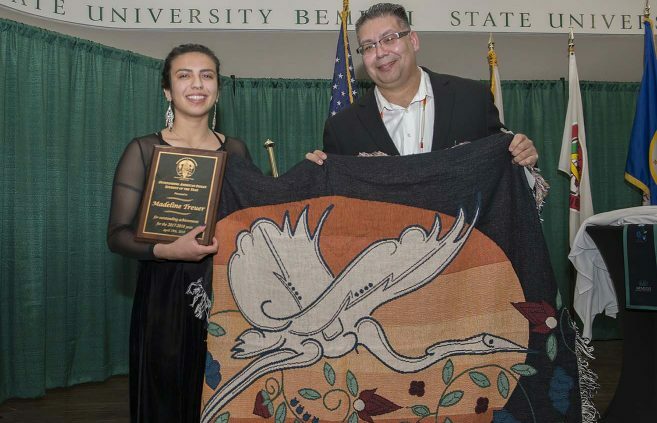 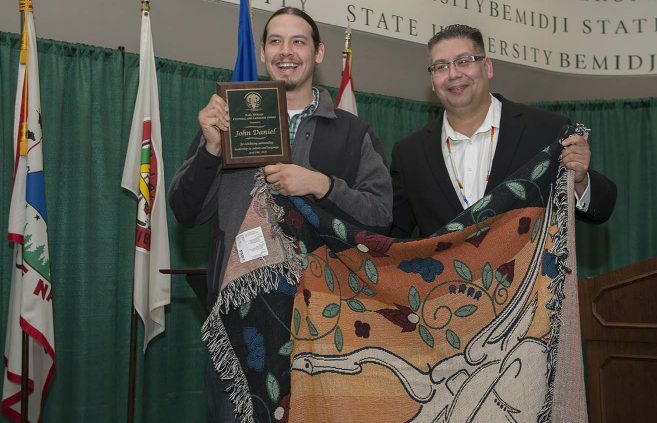 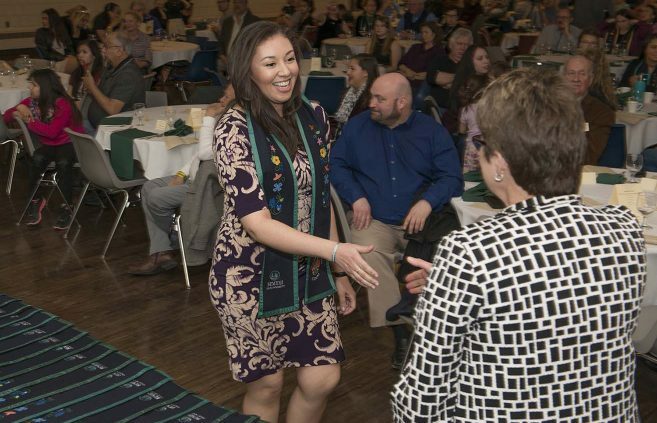 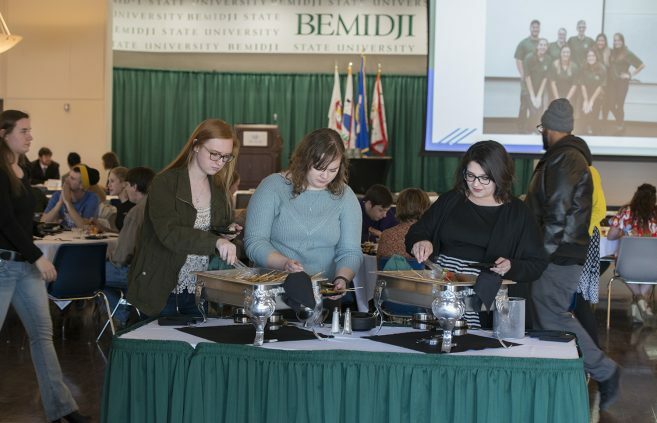 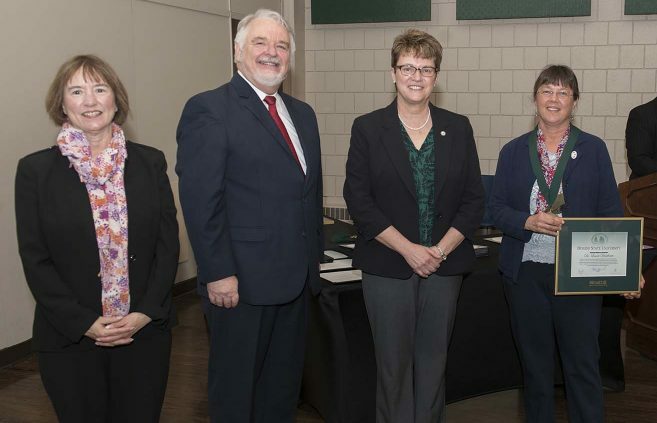 Senior Madeline Treuer repeated as Outstanding American Indian Student of the Year and a record 51 graduating native students were honored at Bemidji State University’s 38th Annual American Indian Students Recognition Banquet. 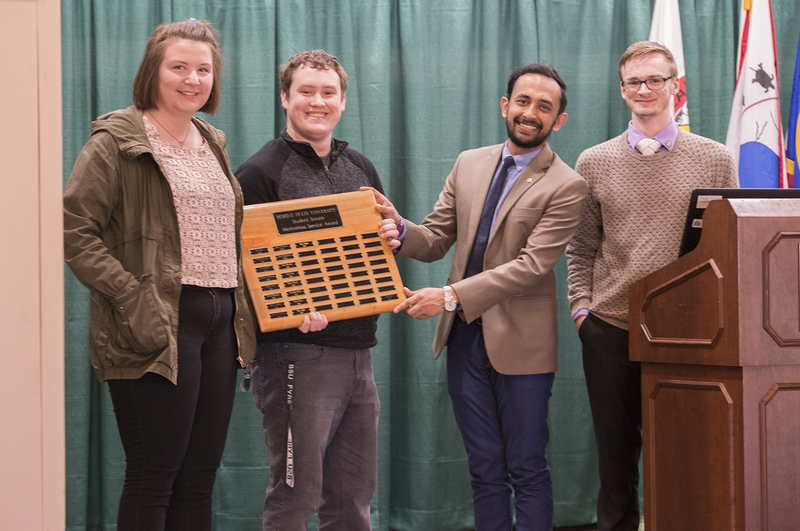 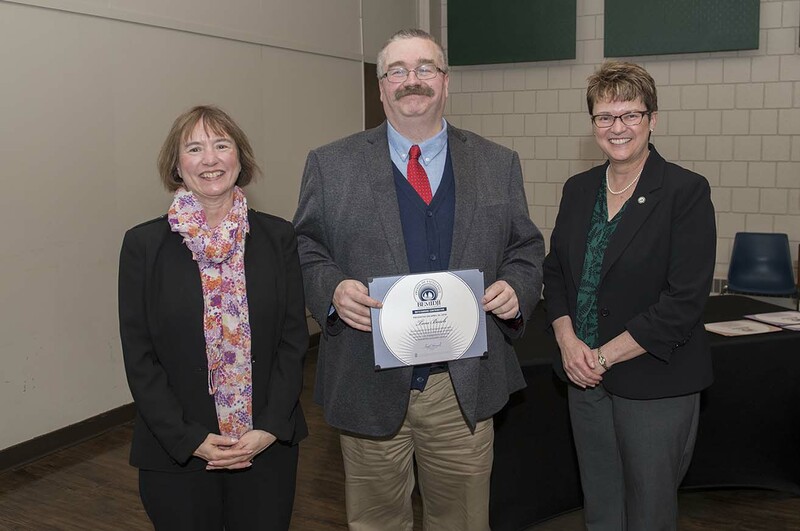 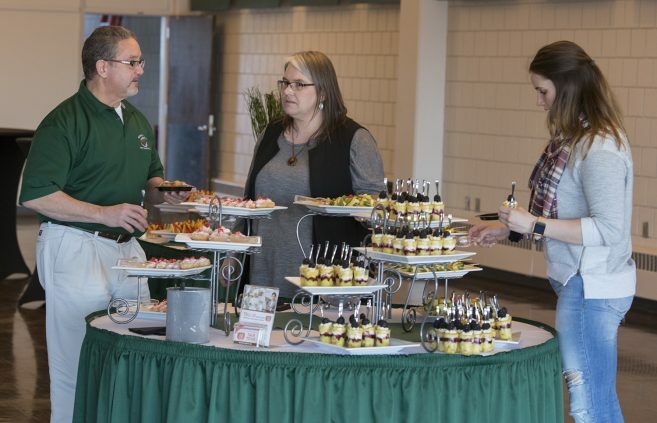 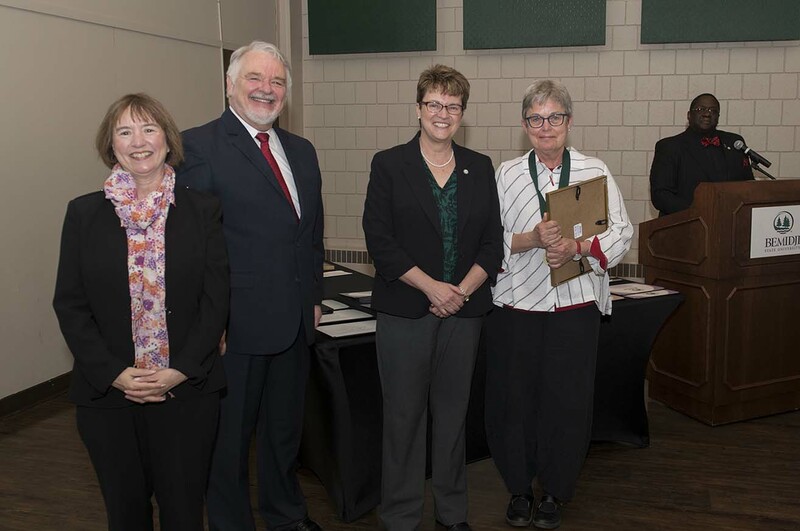 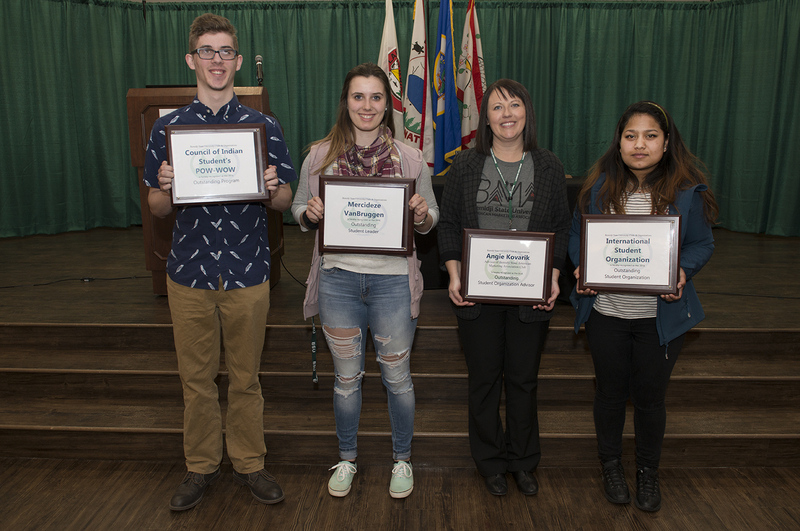 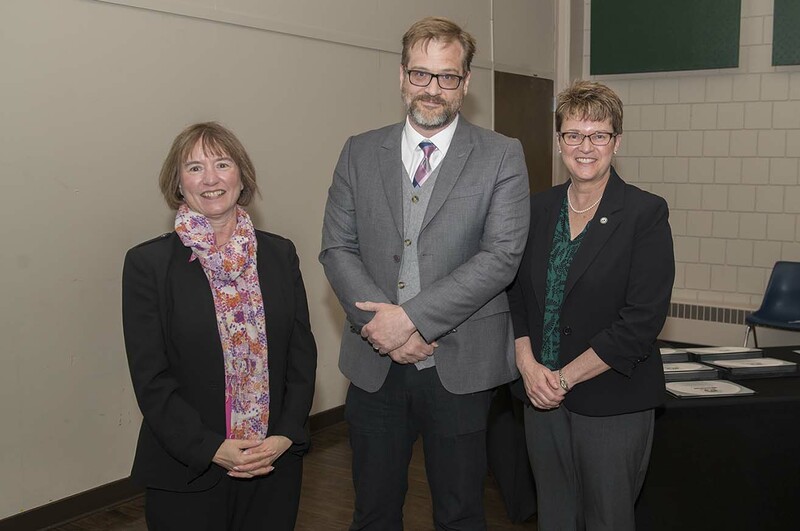 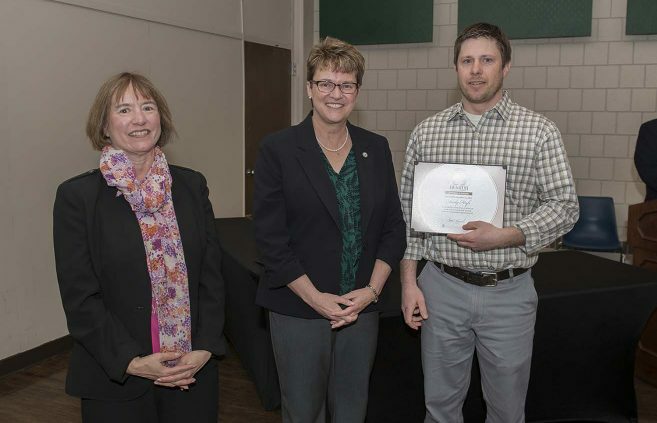 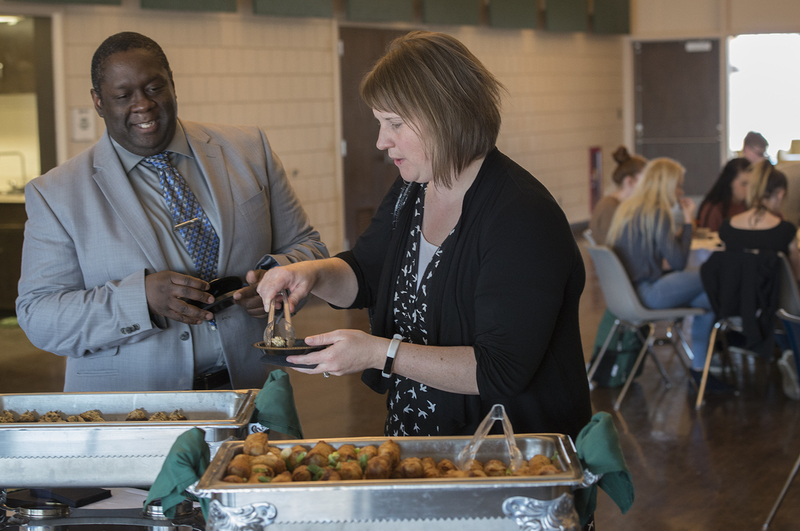 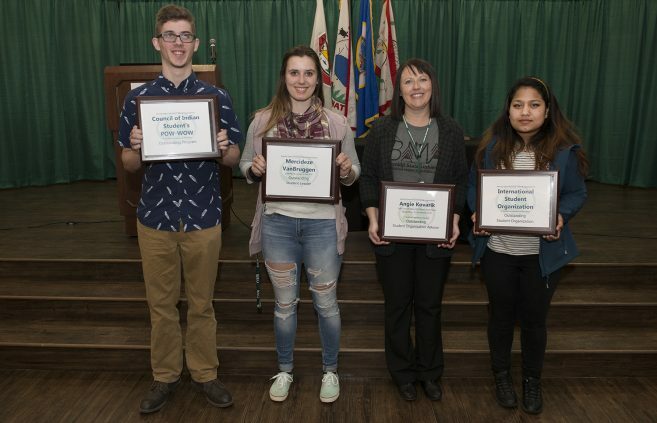 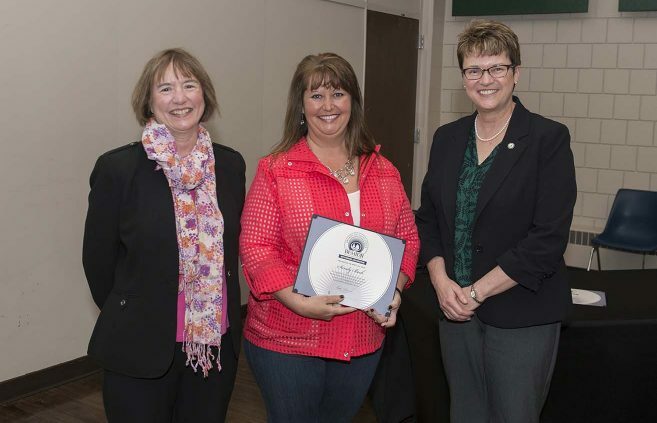 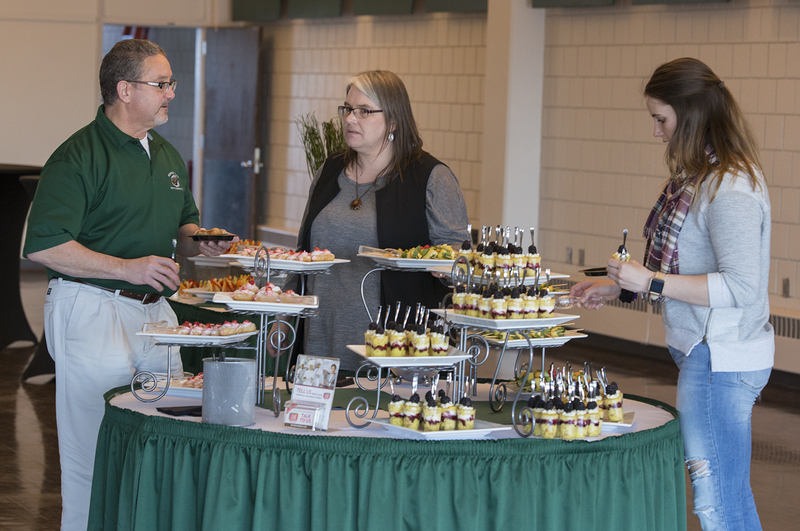 The Hobson Memorial Union hosted its2018 Leadership Celebration to recognize outstanding student leaders, organizations, programs and advisors on April 17. 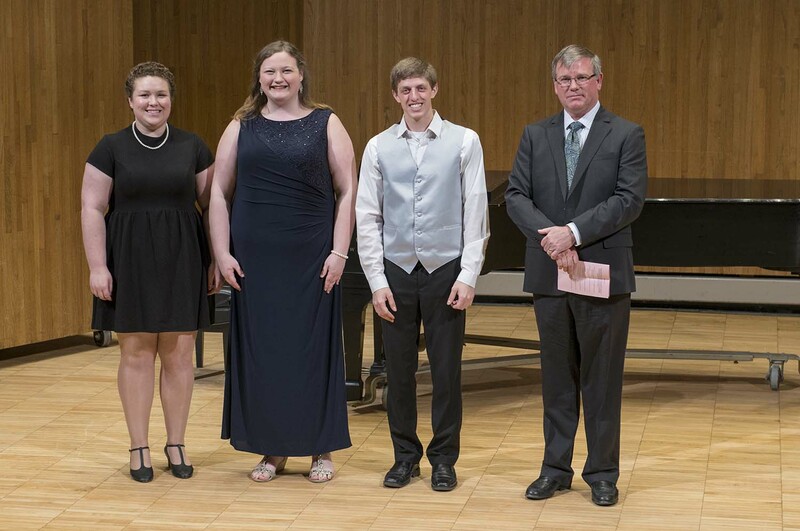 2018 DeKrey Scholarship winners (L to R) Hannah Jenson, Savanna Hagerty and Evan Byler with Dan DeKrey. 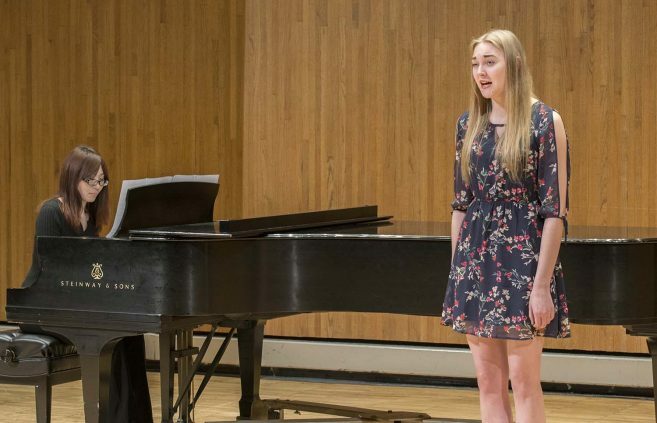 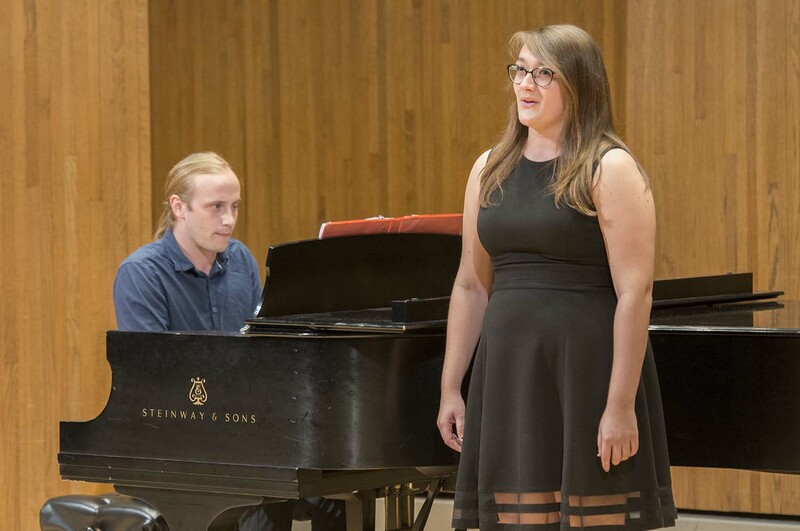 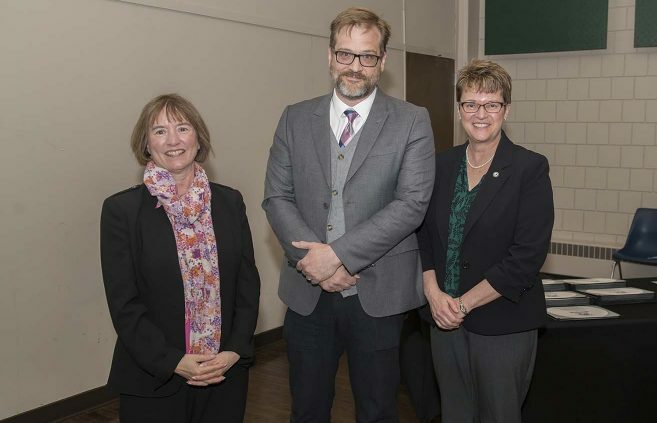 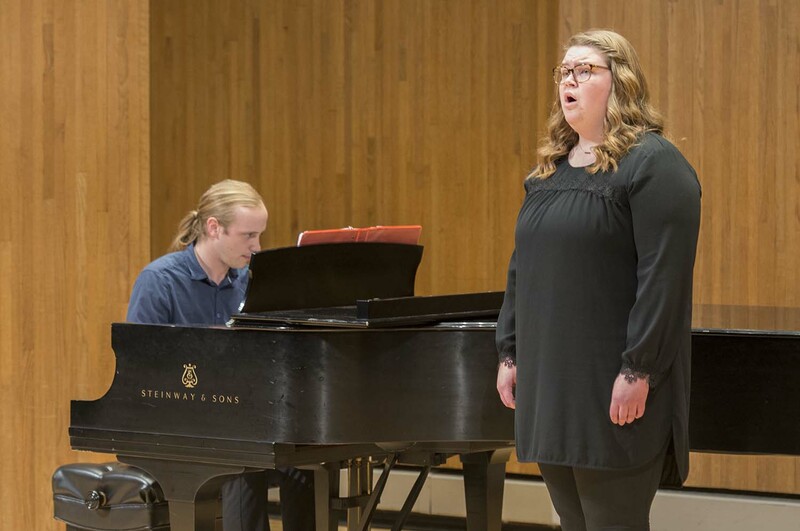 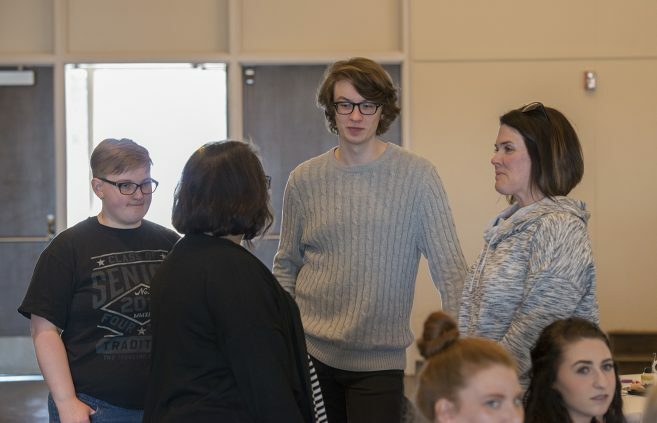 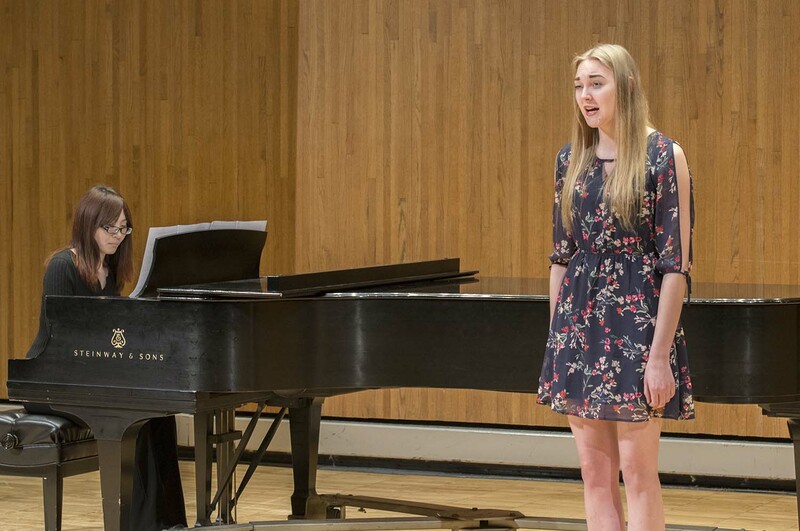 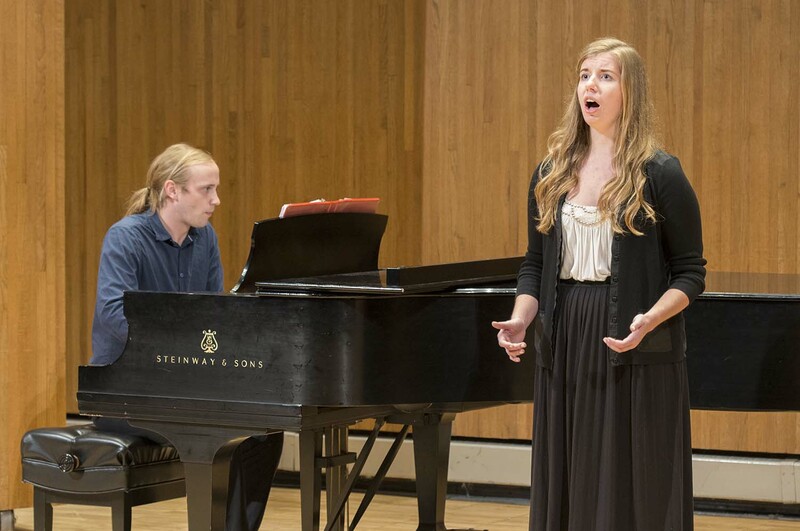 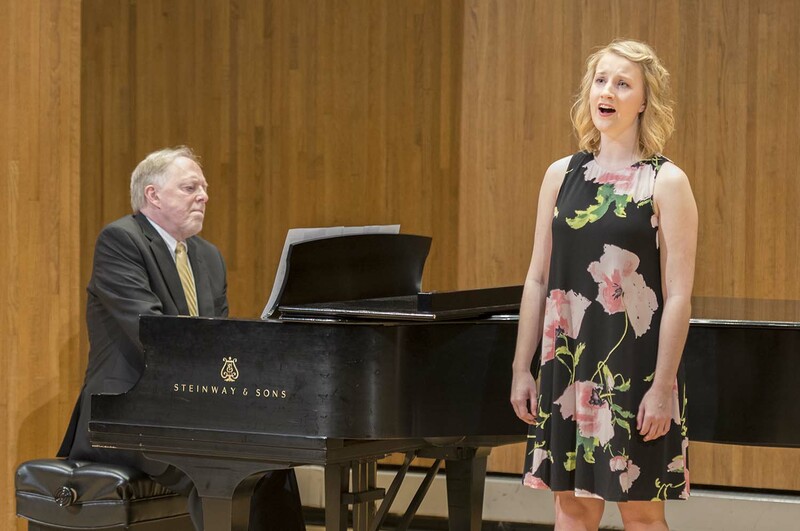 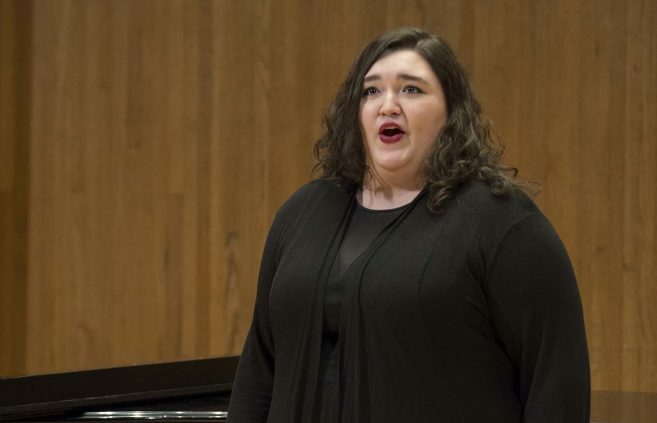 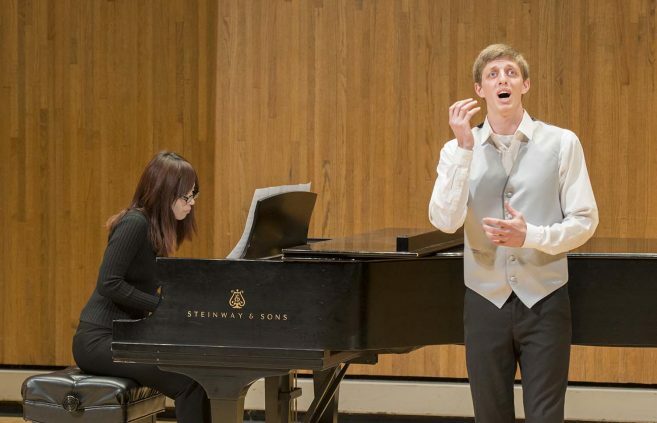 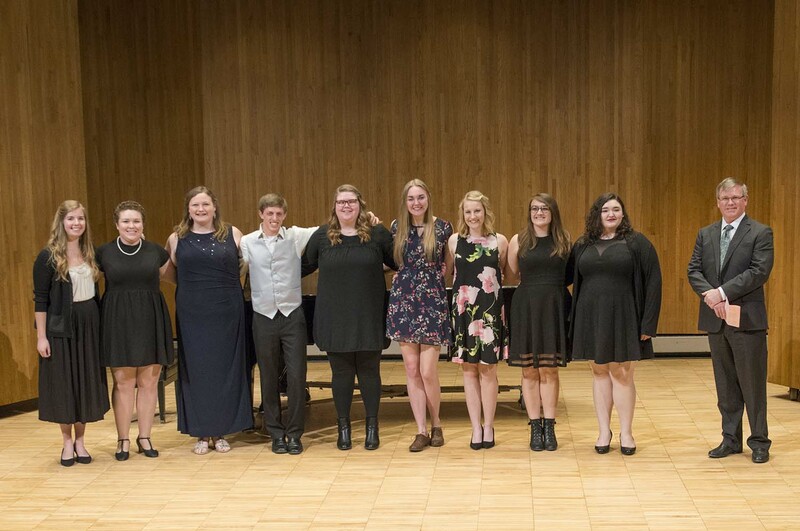 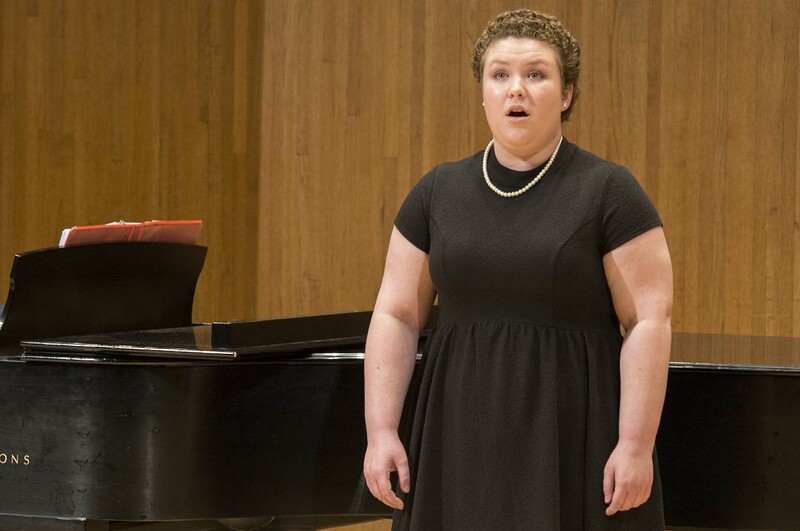 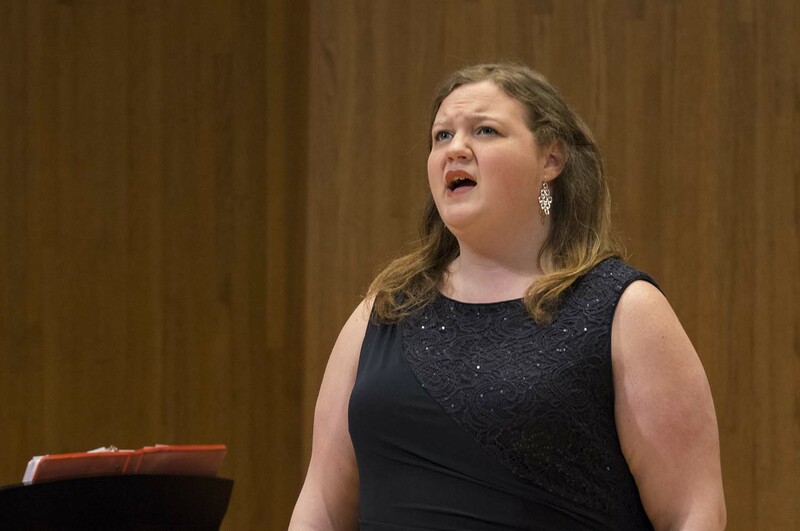 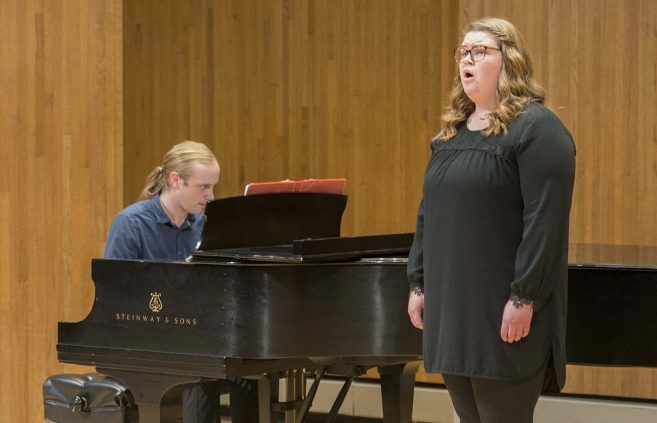 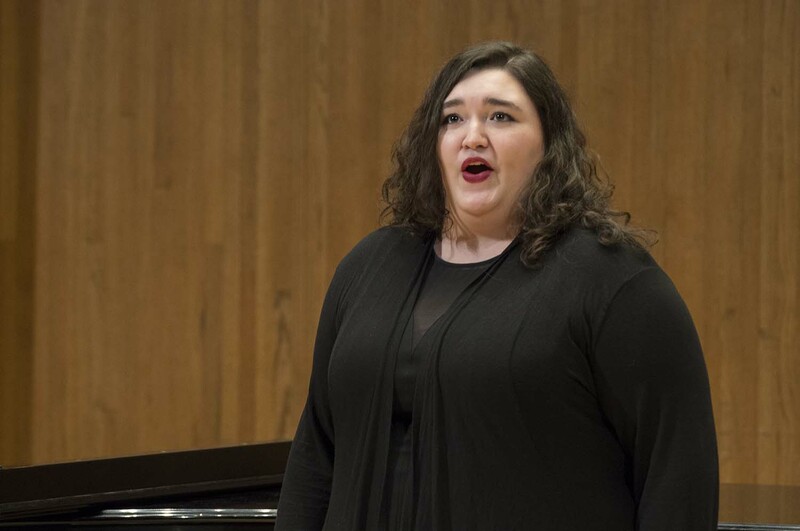 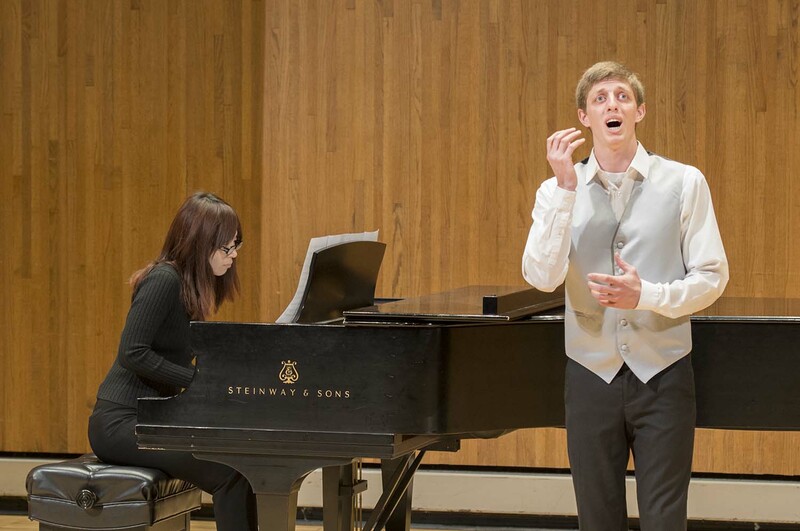 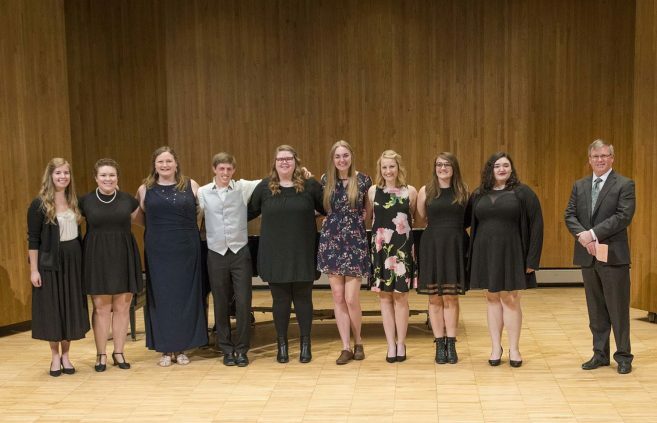 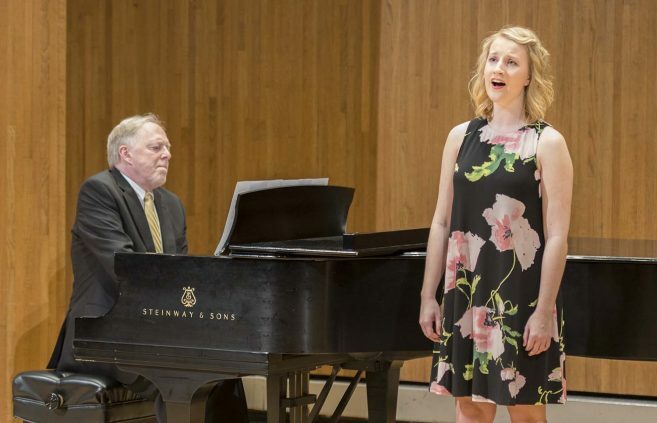 Three Bemidji State University students have won scholarships in the Department of Music’s Don and Ione DeKrey Memorial Scholarship Competition. 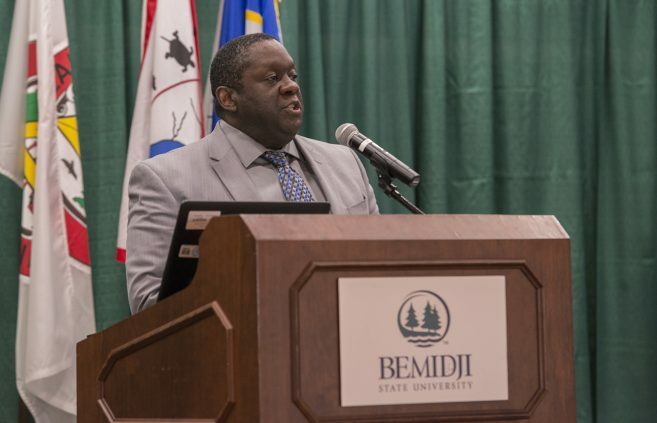 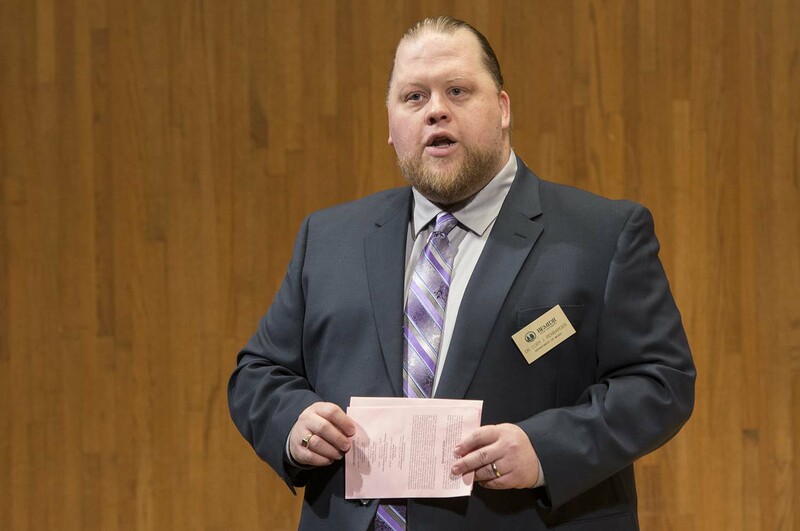 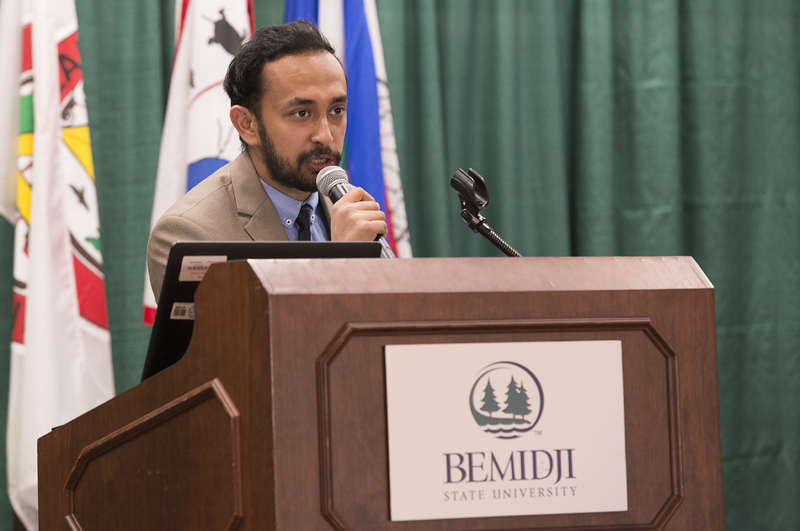 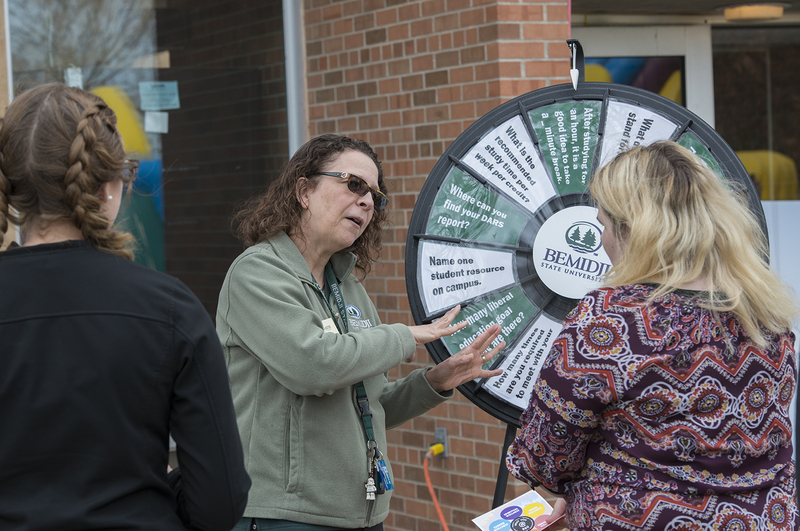 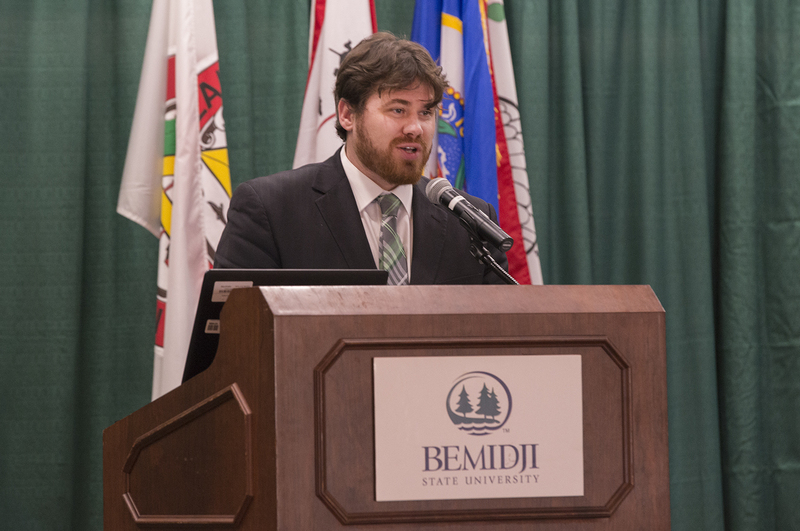 Dr. Tony Peffer, provost and vice president for academic and student affairs at Bemidji State University, announced today that Dr. Jesse Grant has been named the university’s associate vice president for student life and success.